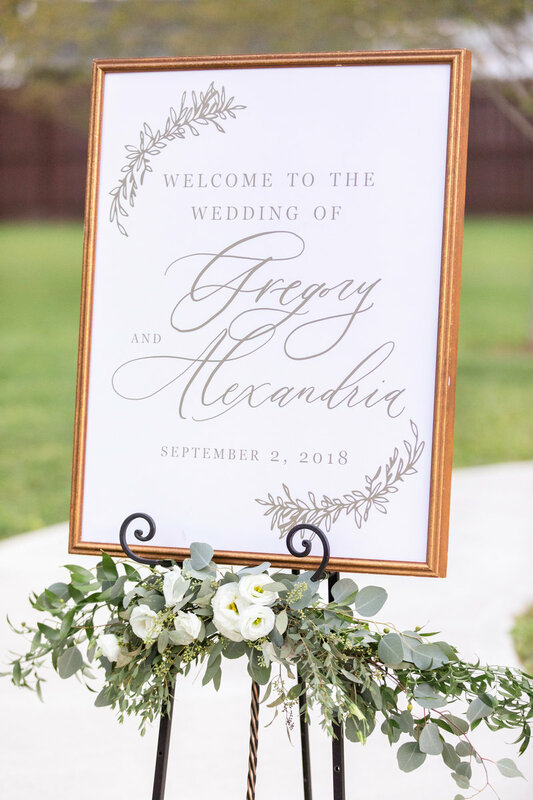 Alex and Greg's wedding was just as delightful as they are a couple. 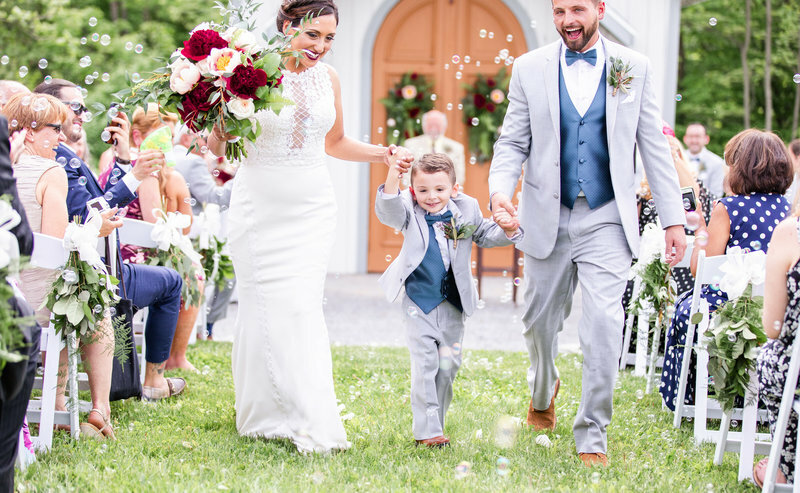 Fun-loving, sweet moments were truly a reflection of their love. 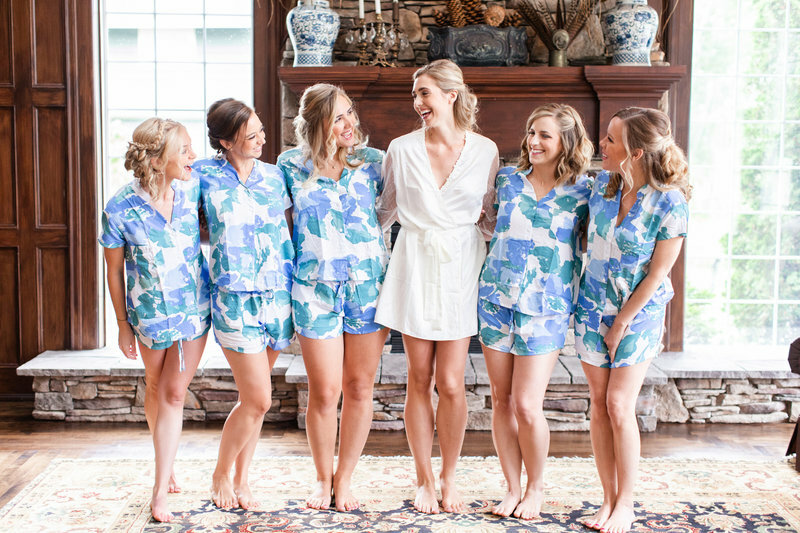 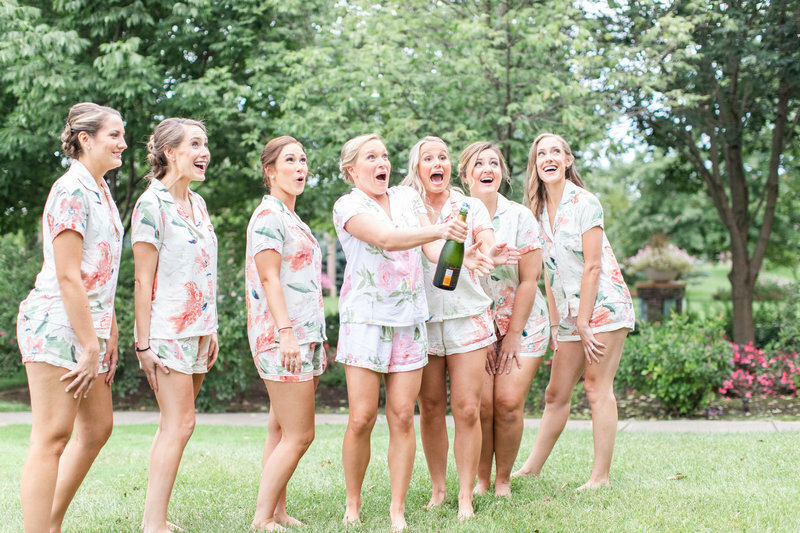 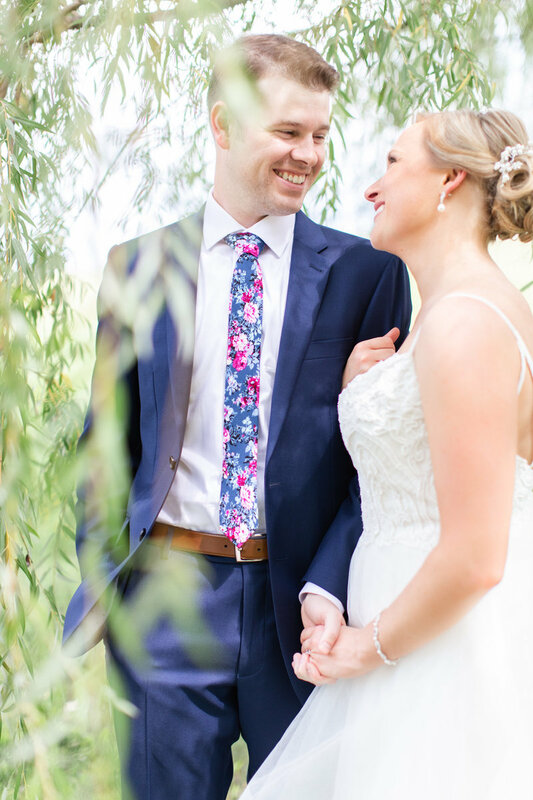 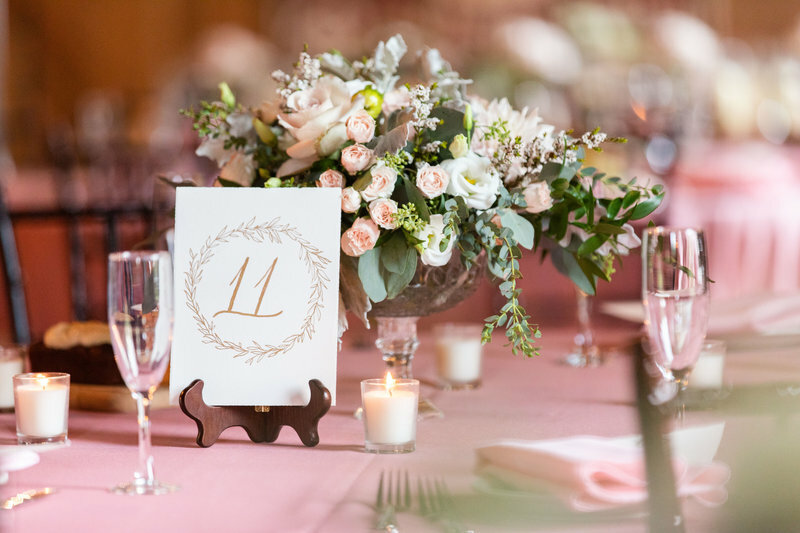 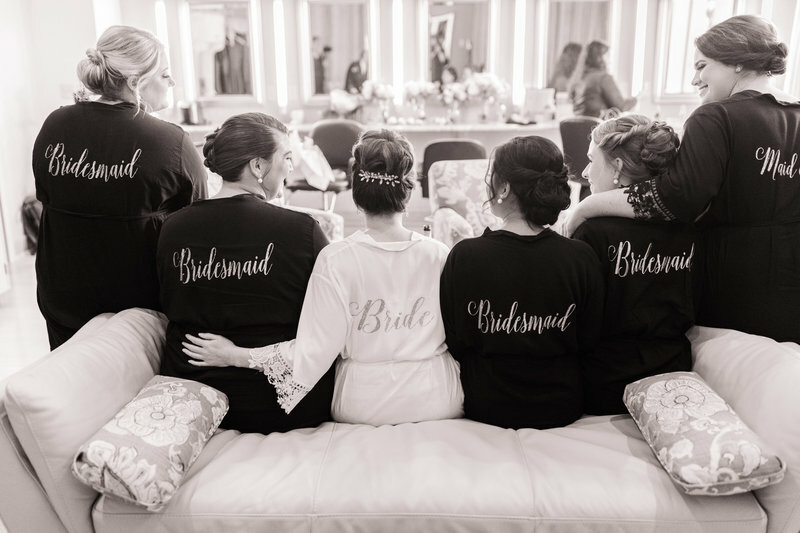 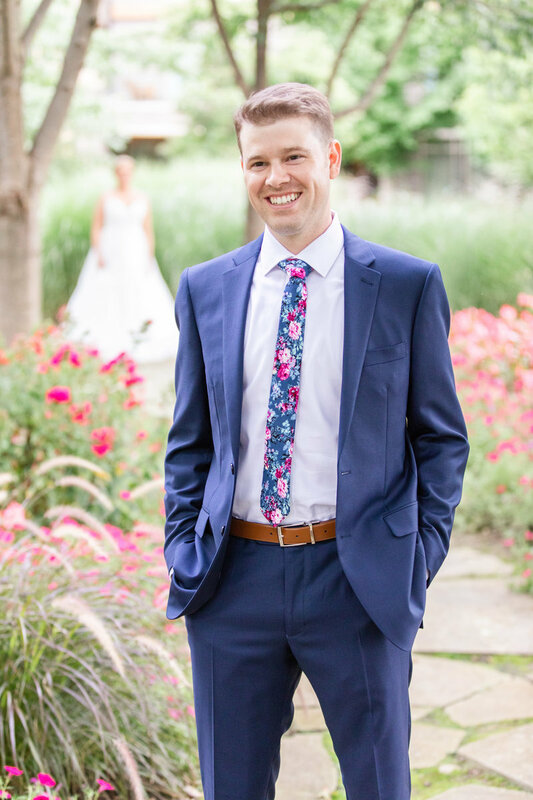 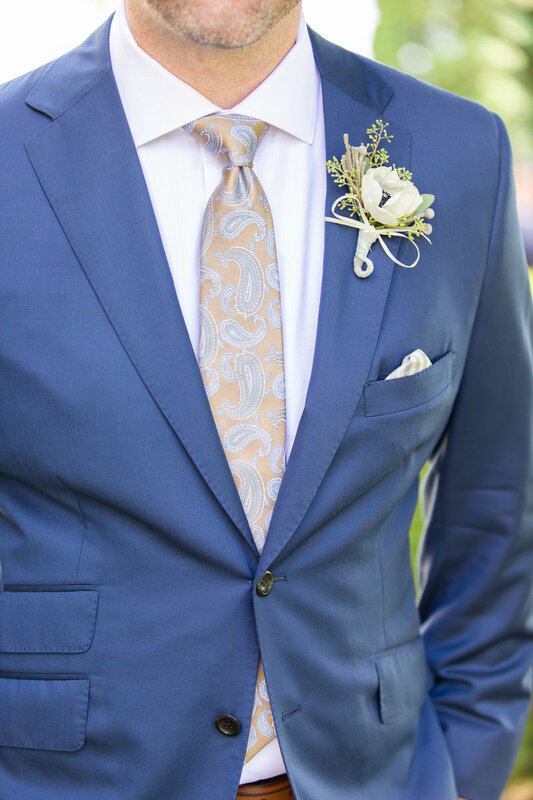 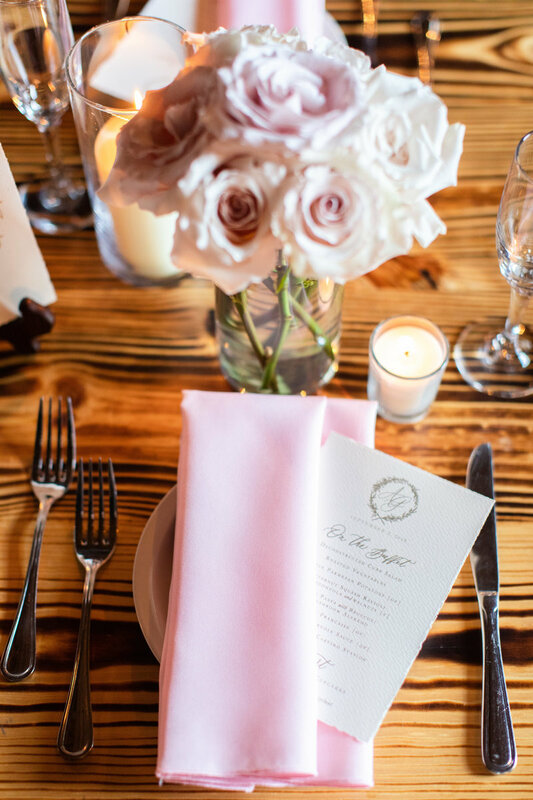 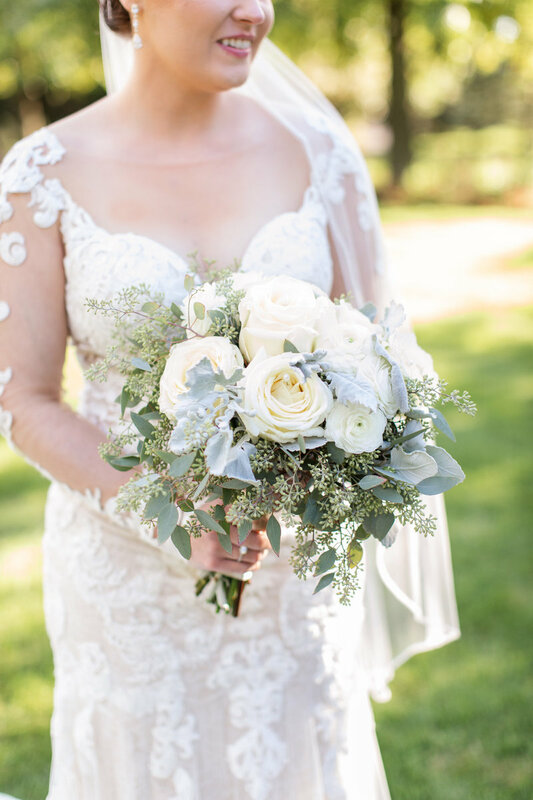 Flowery details made a statement, from the ladies matching pajamas, to the Groom's tie, to the lush blooms by Whistlestop florist, to the final floral illustrations by Staci of Kindly Letter, Co. - this wedding design blossomed as it all came together! 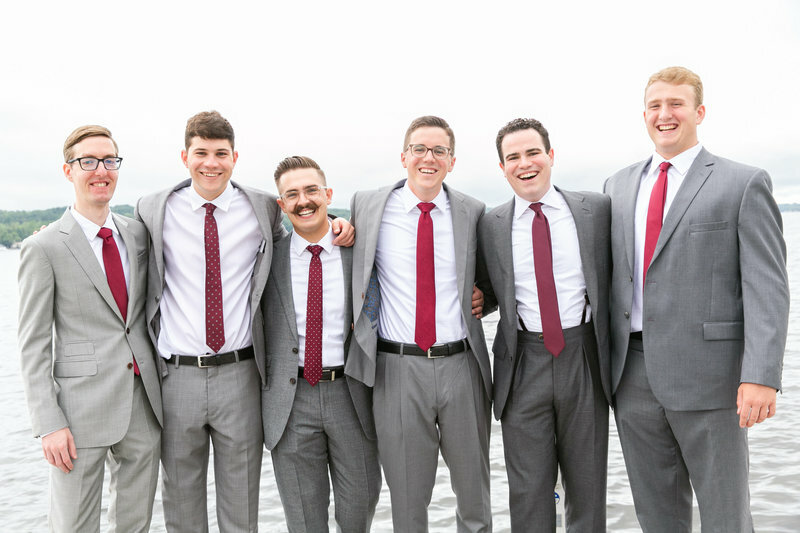 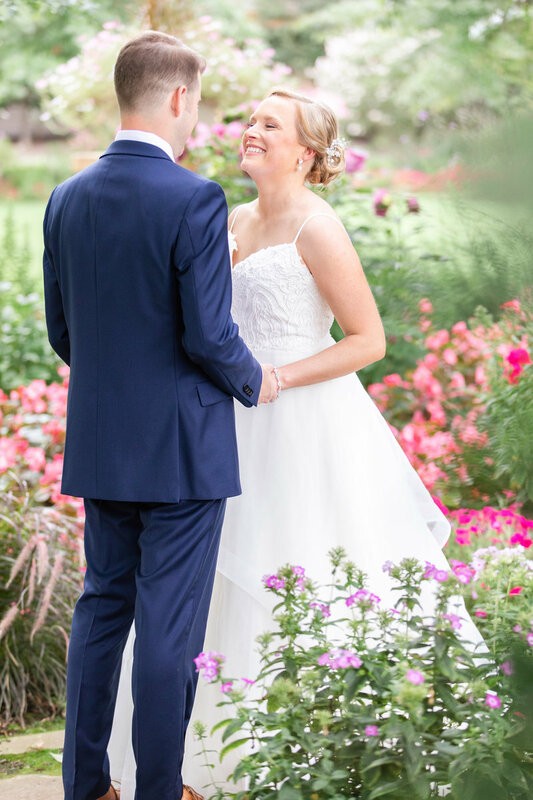 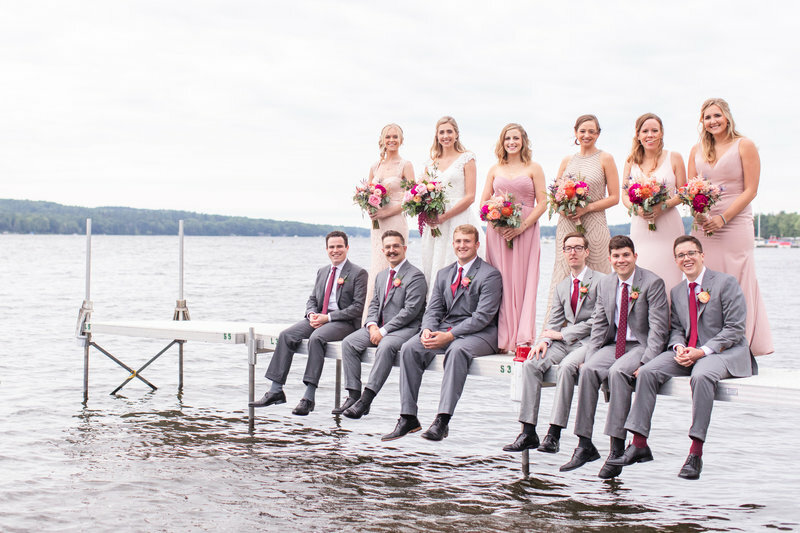 We built lots of time into the photography timeline for getting ready photos, a first look, family photos, and reception details-- it was a full day of summery fun despite dodging raindrops! 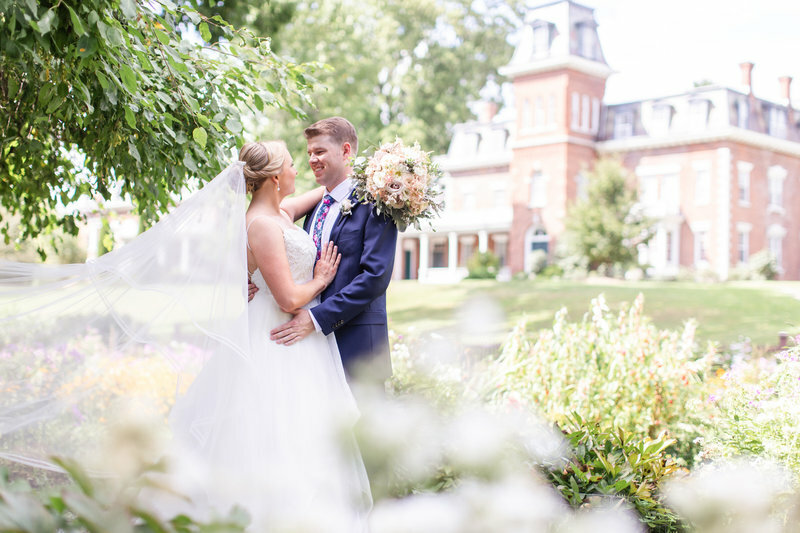 Frog Pond Bed & Breakfast is one of the most magical places around! 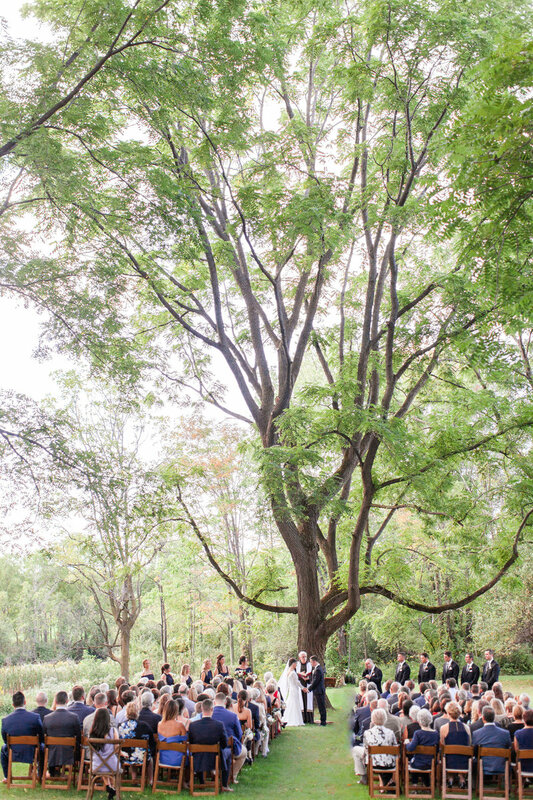 Carolyn & Dan's ceremony took place at what we call the "magic tree" and by some mystery, a storm heading right for us, magically disappeared! 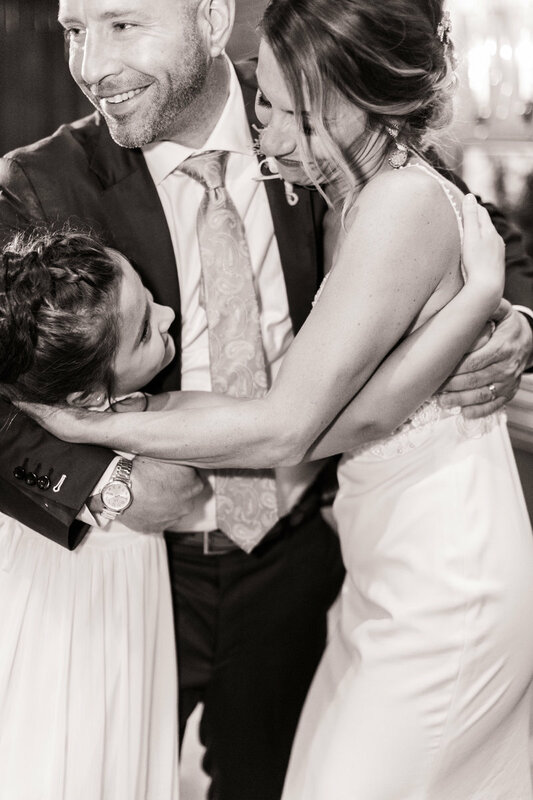 We think it was all the love. 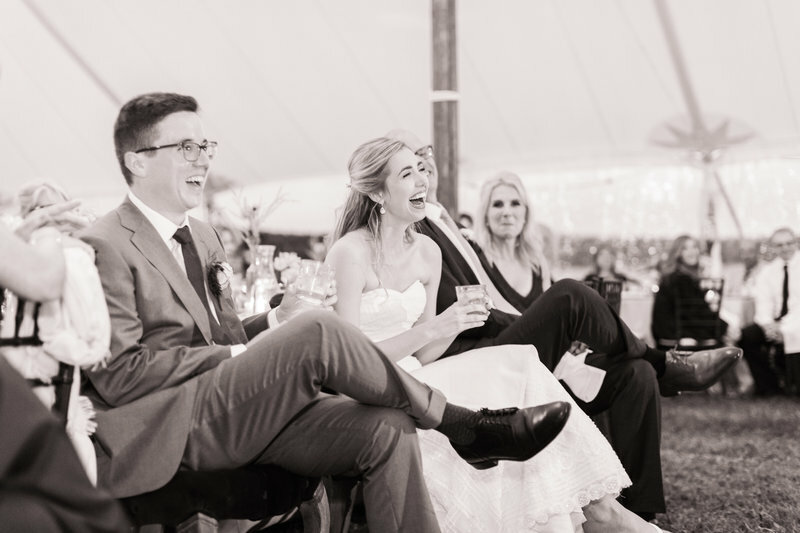 And laughter. 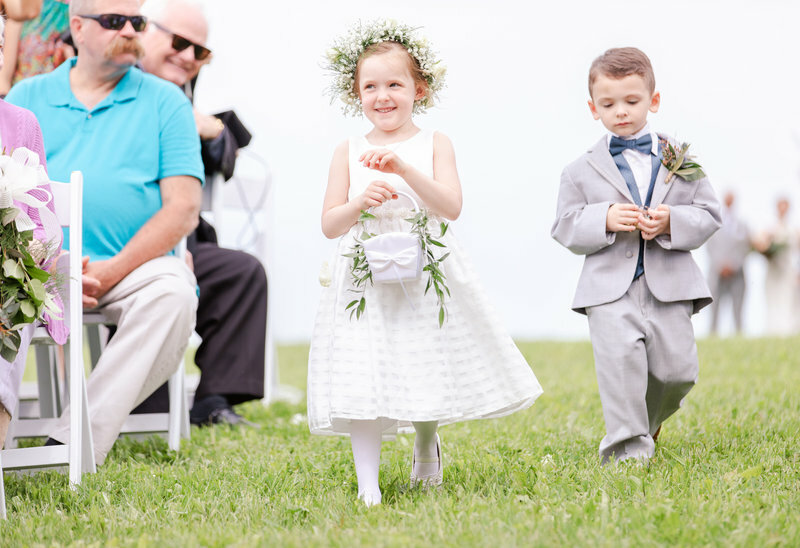 These two and their families kept us giggling all day long. 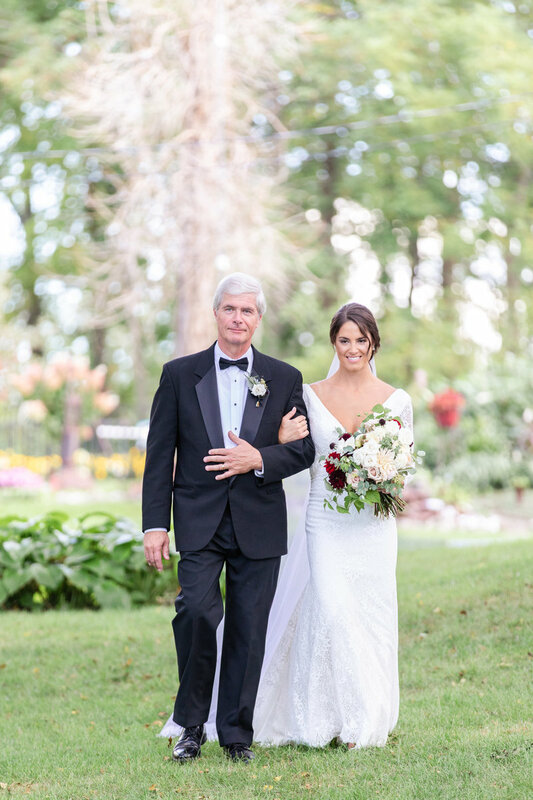 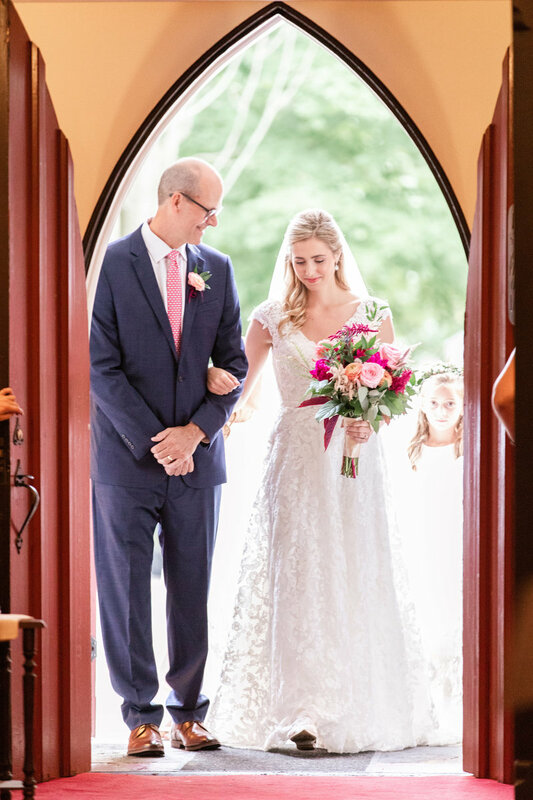 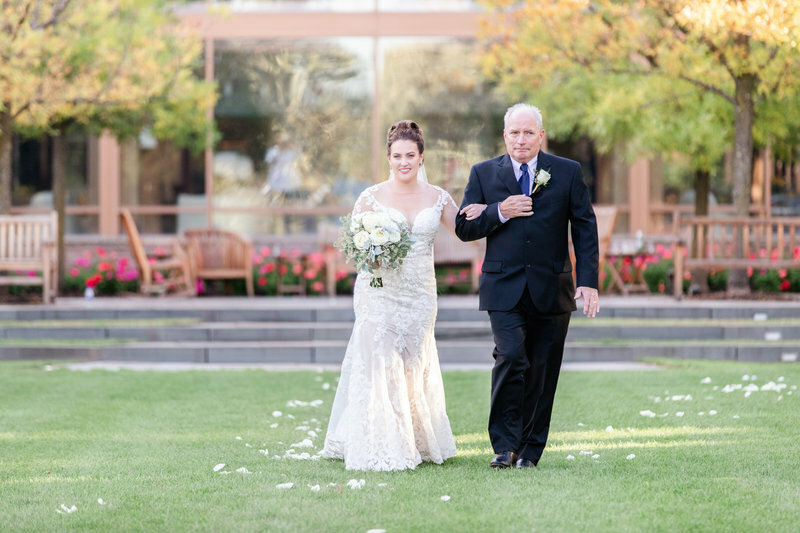 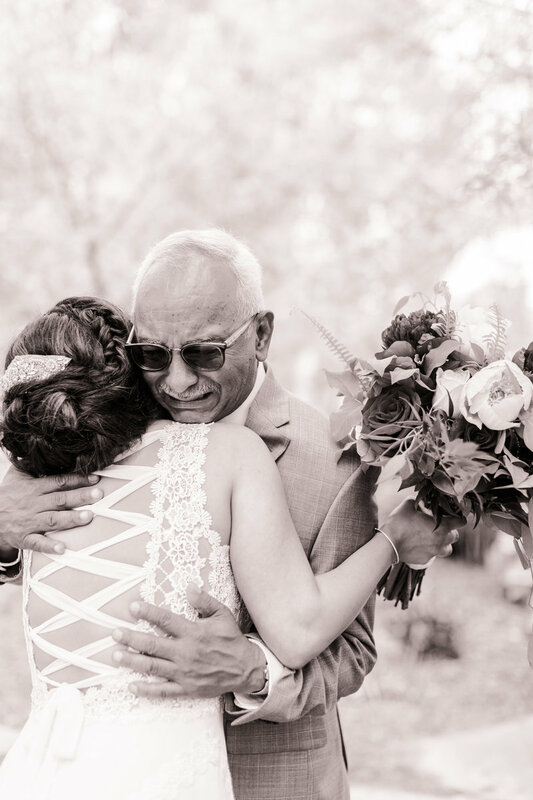 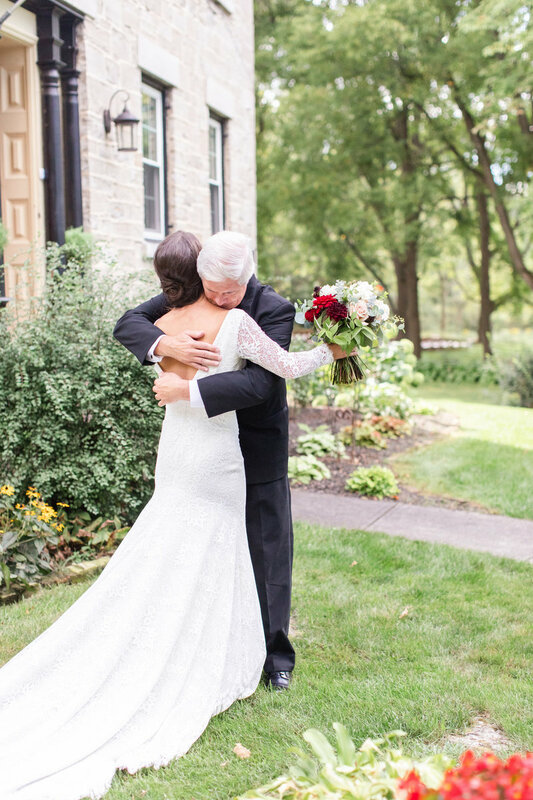 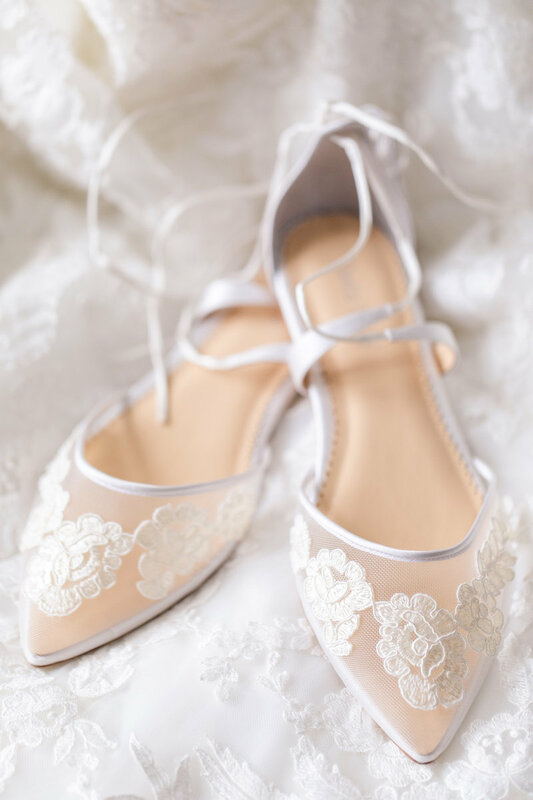 We can't help but feel our hearts flutter over the Dad & Daughter look, the Groom's reaction as his Bride walked down the aisle, and all the simple, but stunning details that filled each moment of the day. 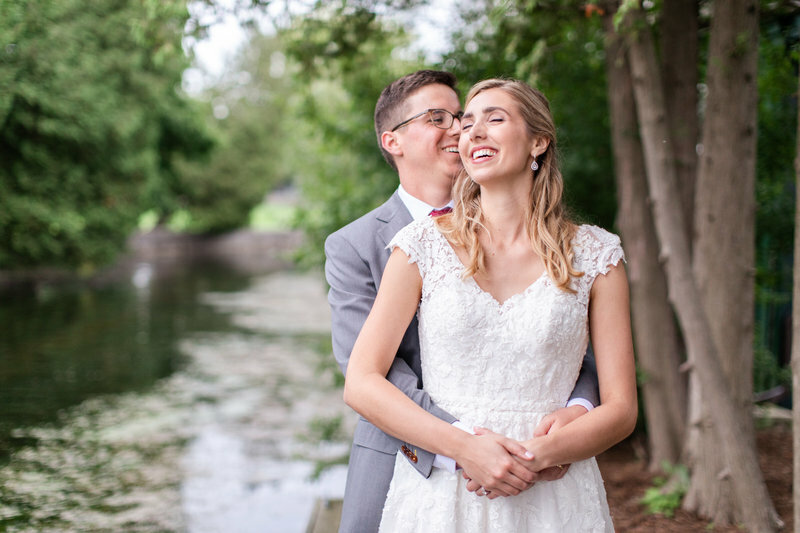 Ty had way too much fun capturing these two gorgeous and goofy lovebirds. 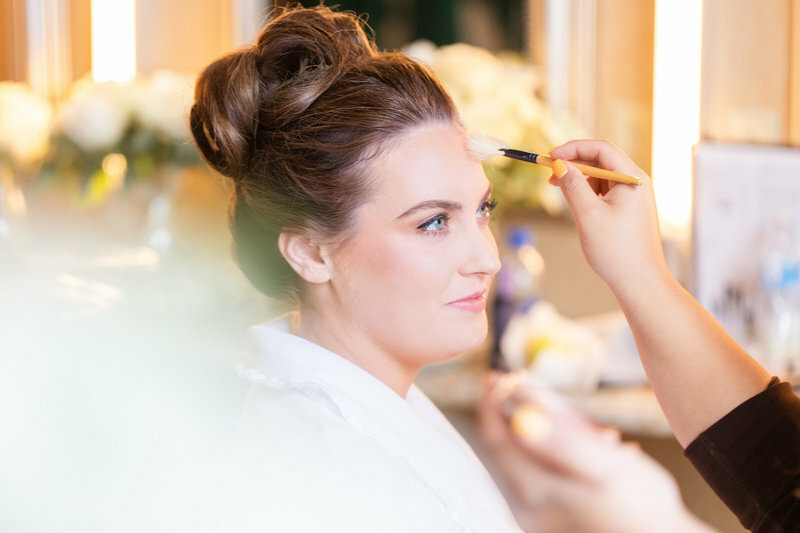 Designing this day, and bringing it to life with such talented pros, was a true delight for Kate. 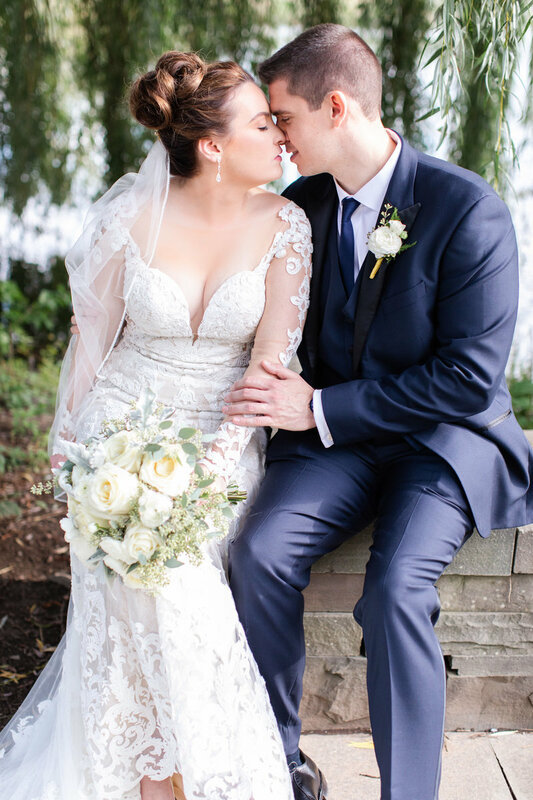 We won't soon forget this magical day and all its moments. 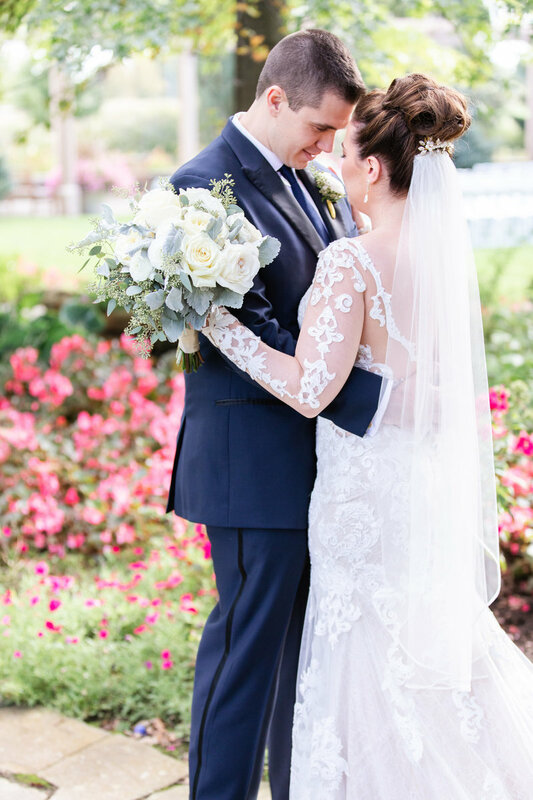 It's a real treat when a couple comes along with an affection for timeless style and tradition with a new take. 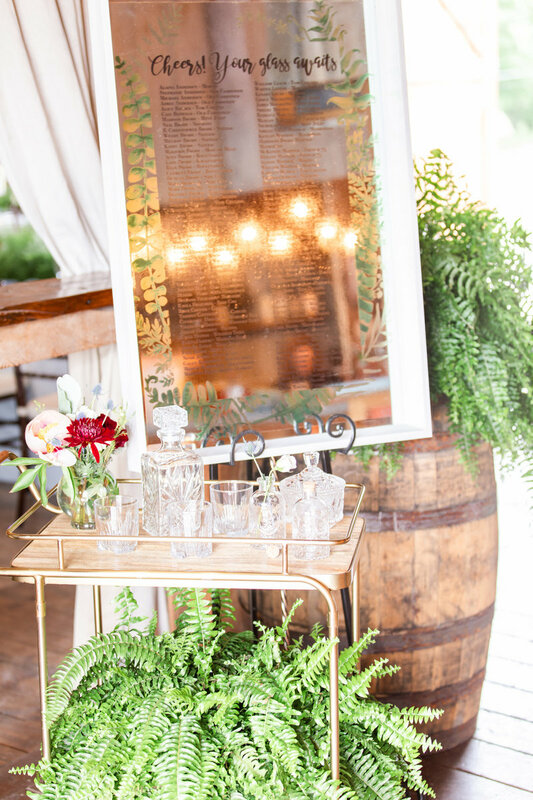 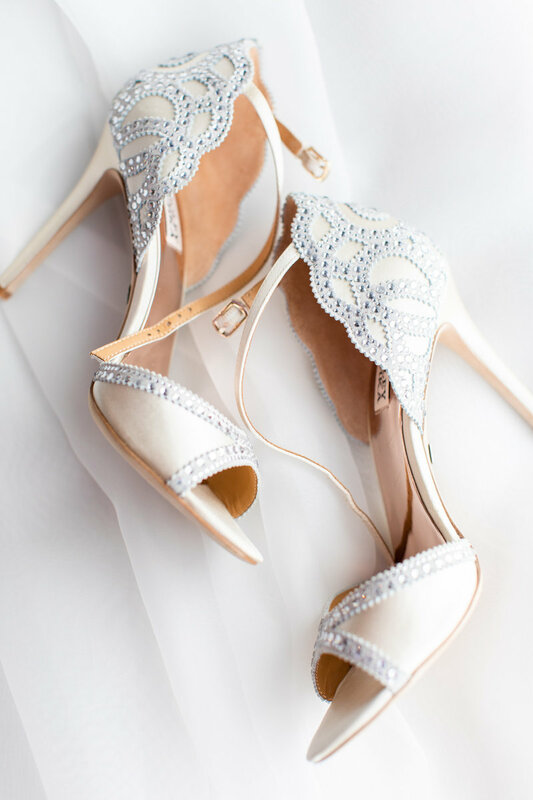 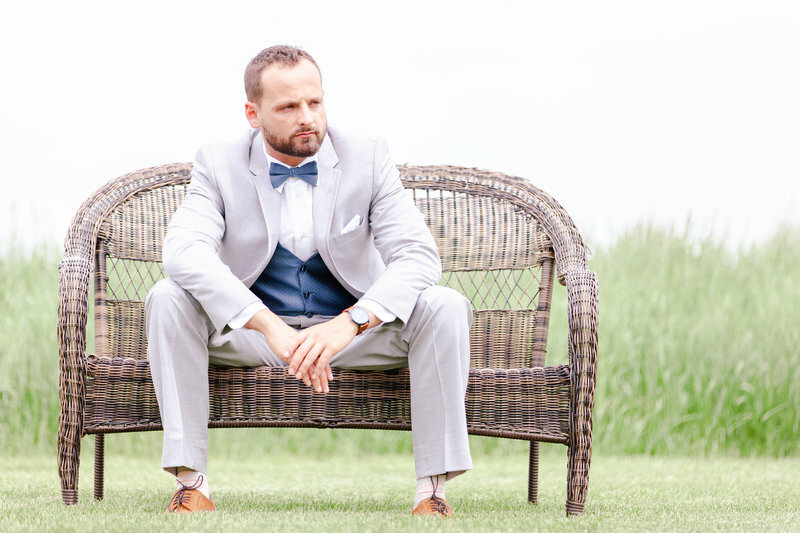 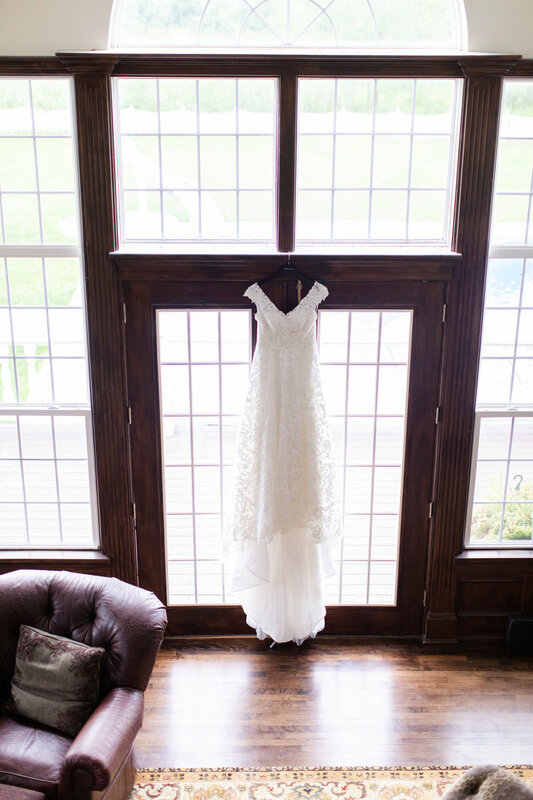 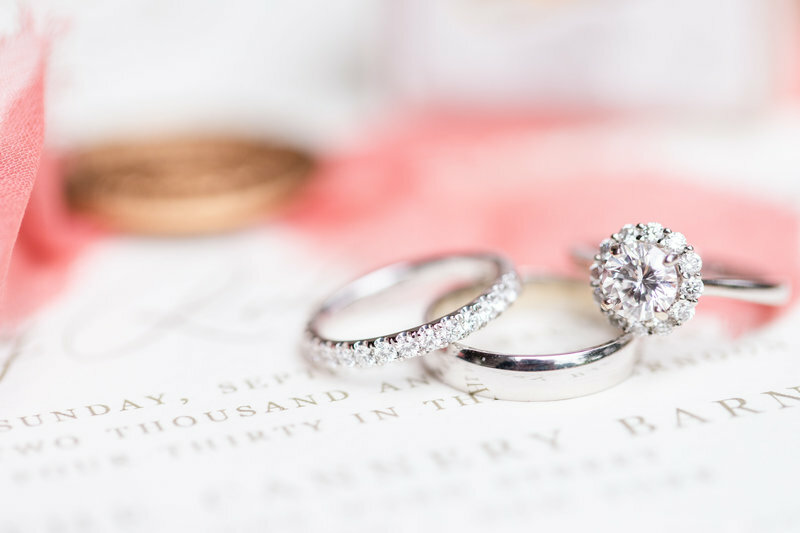 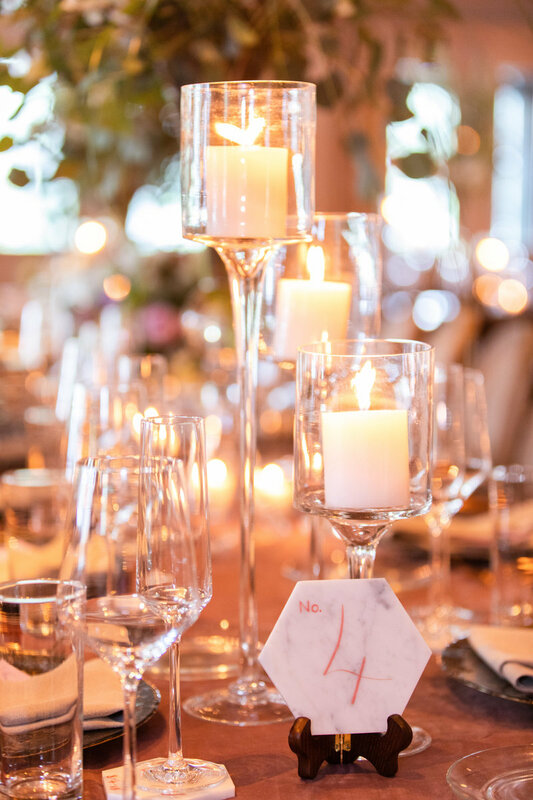 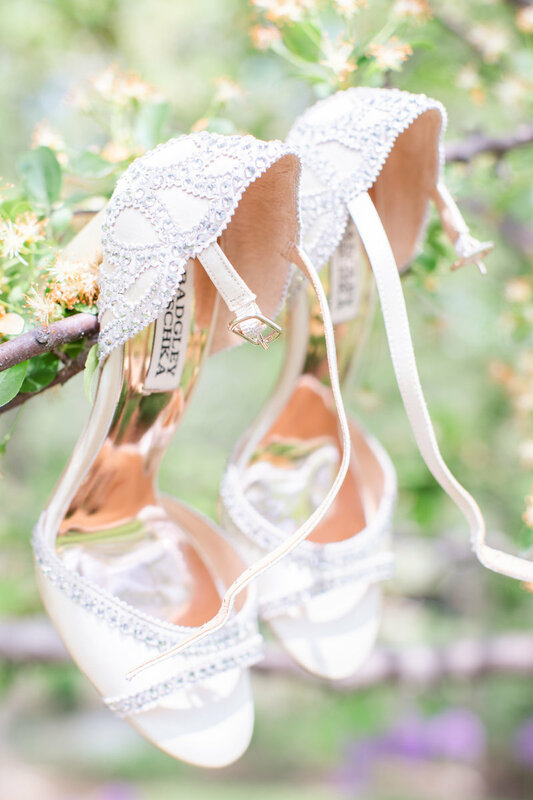 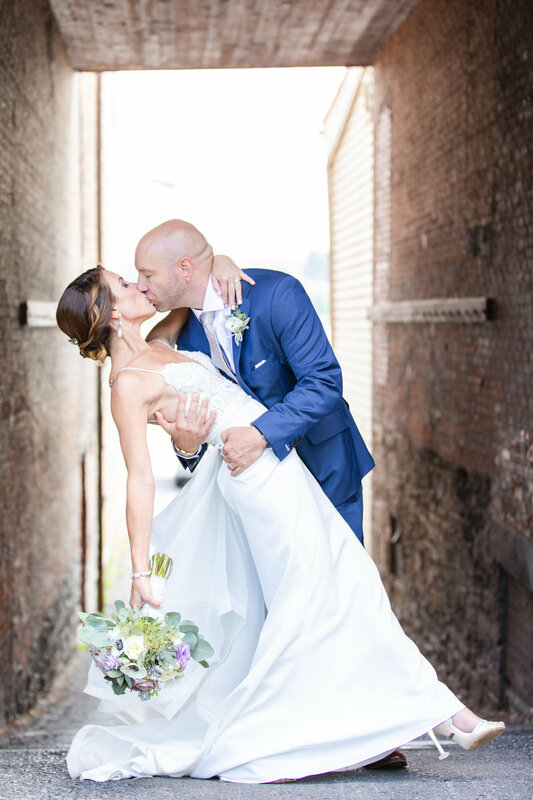 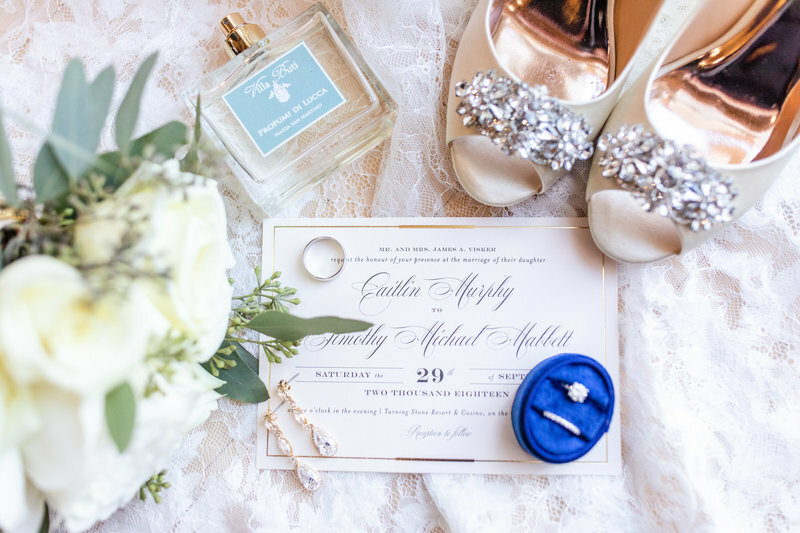 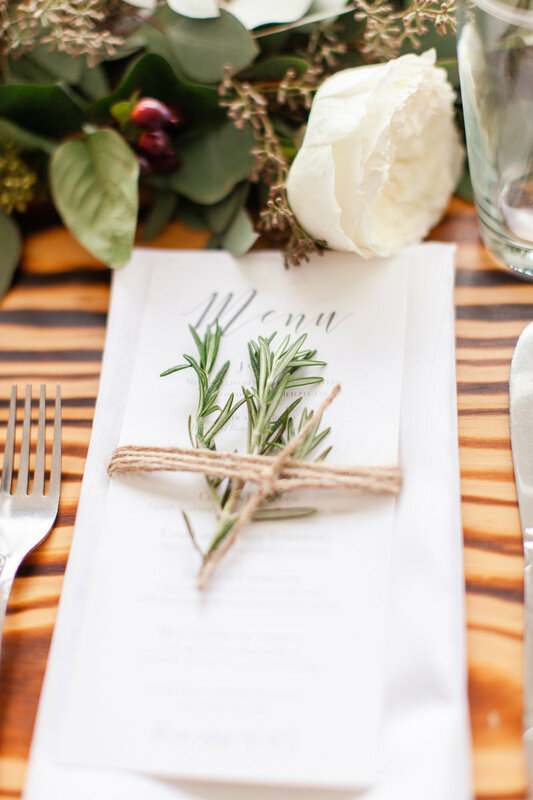 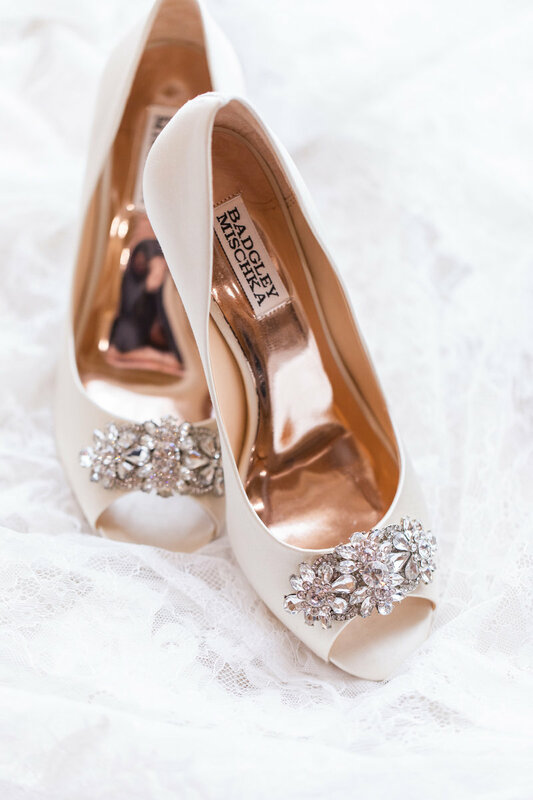 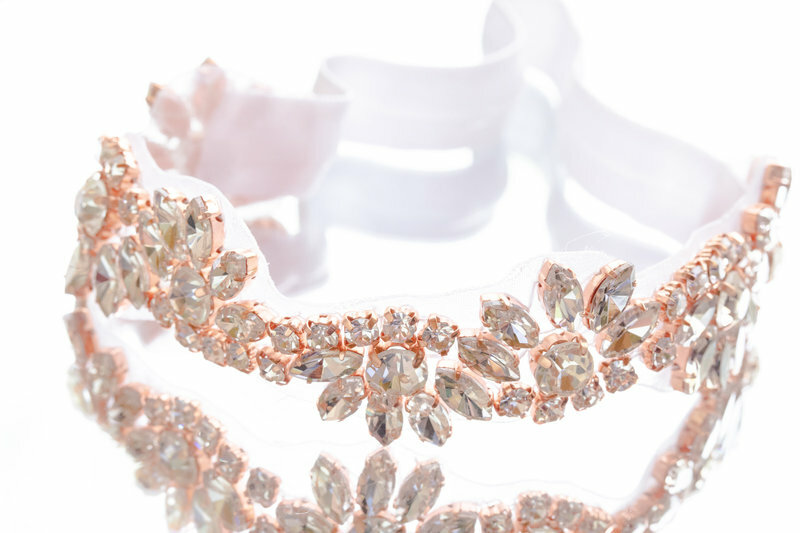 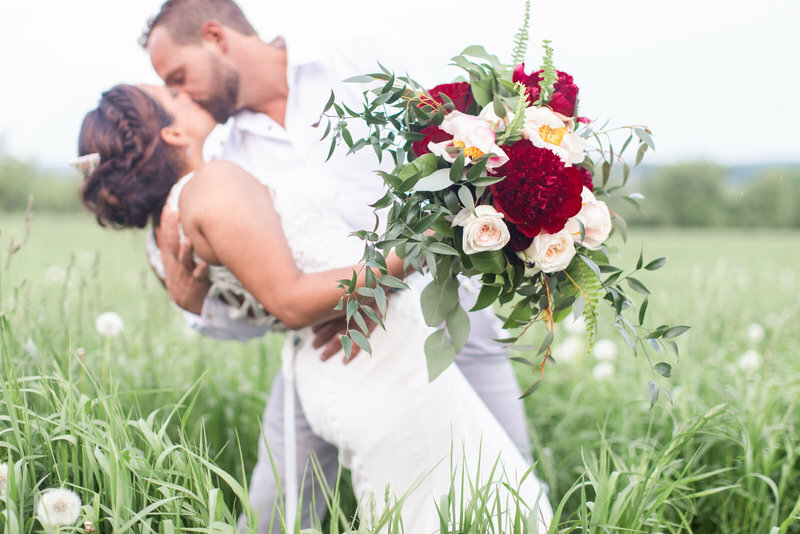 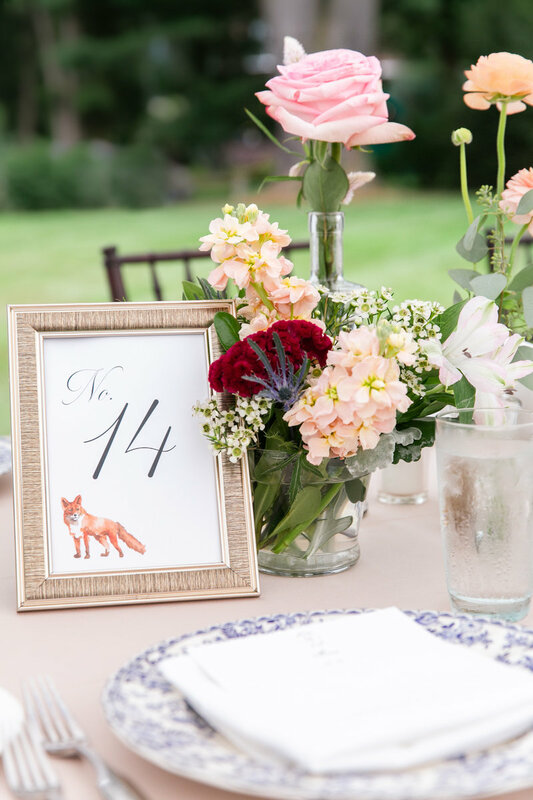 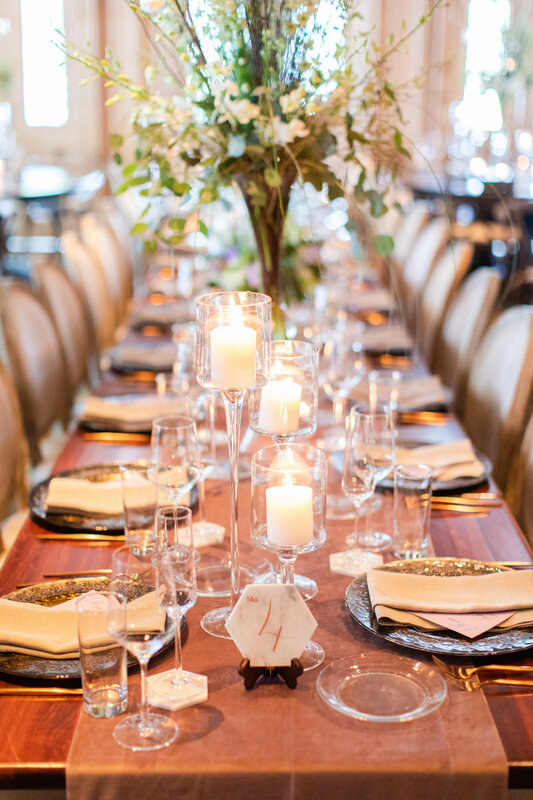 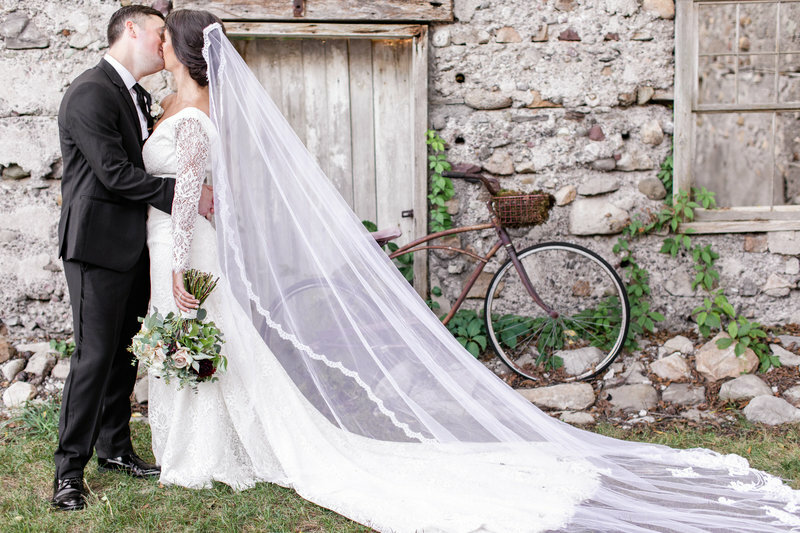 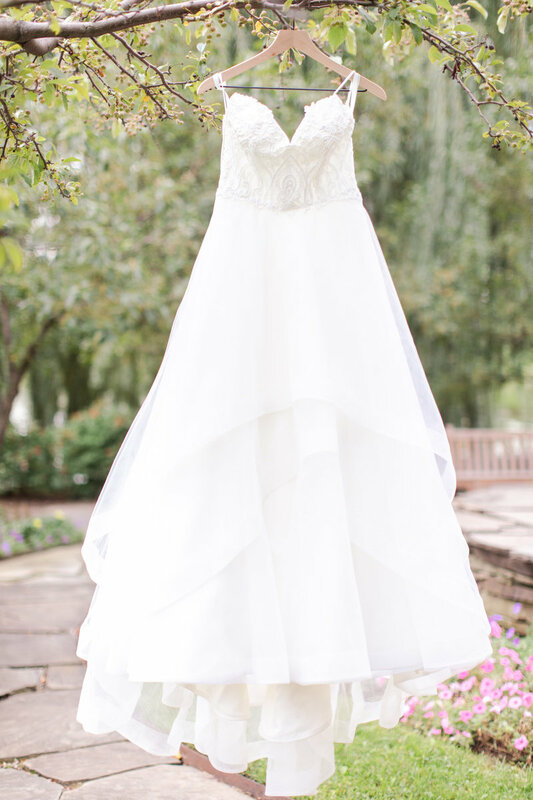 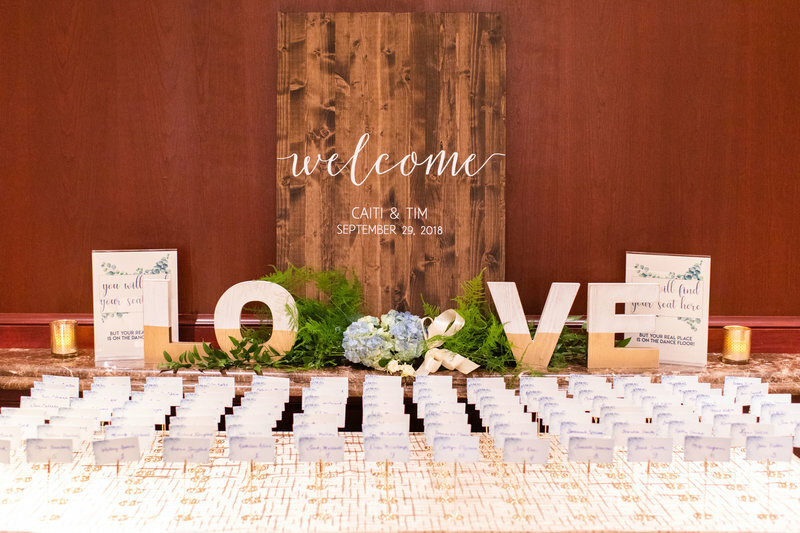 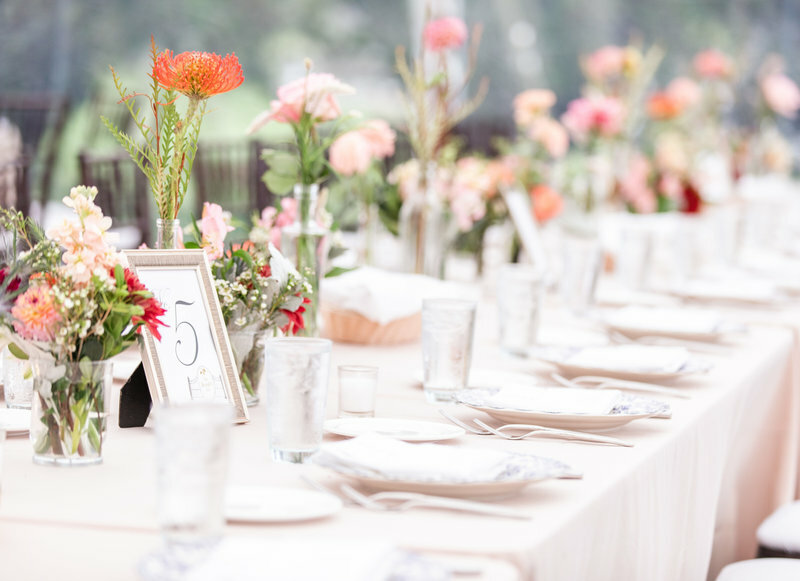 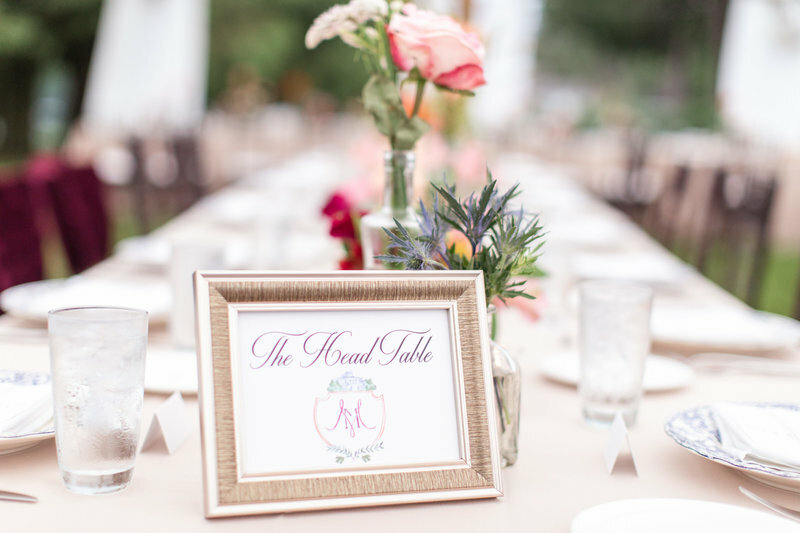 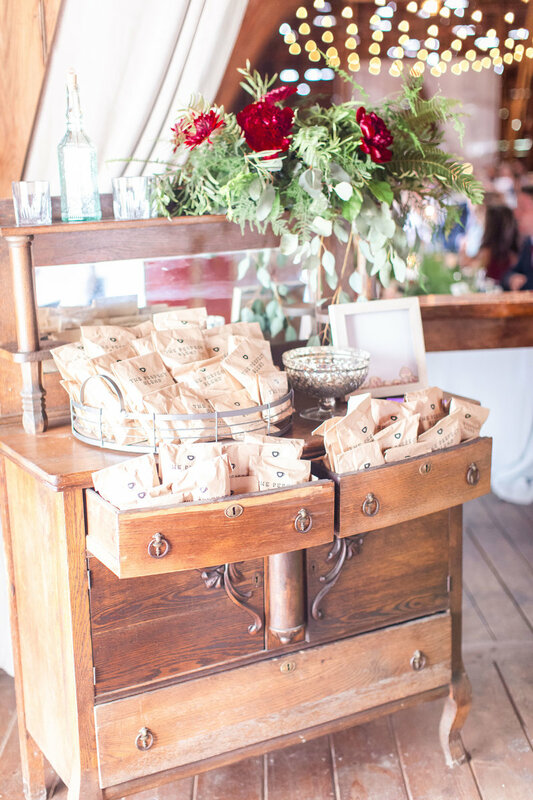 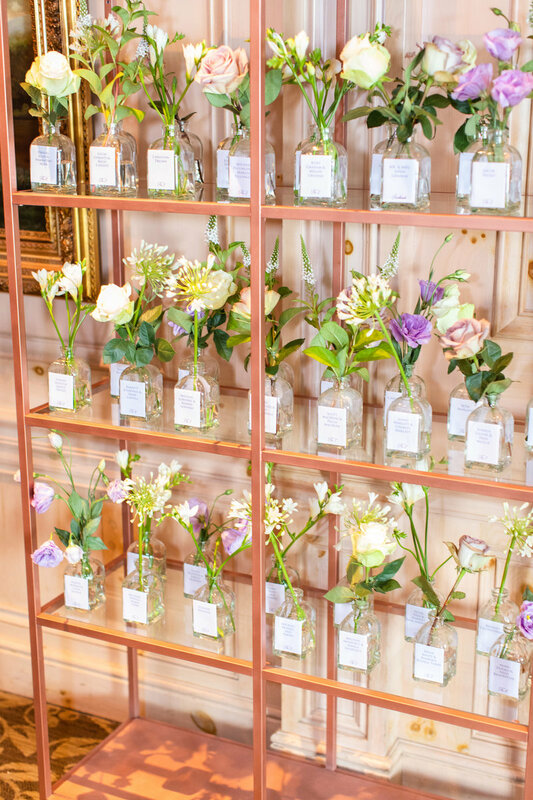 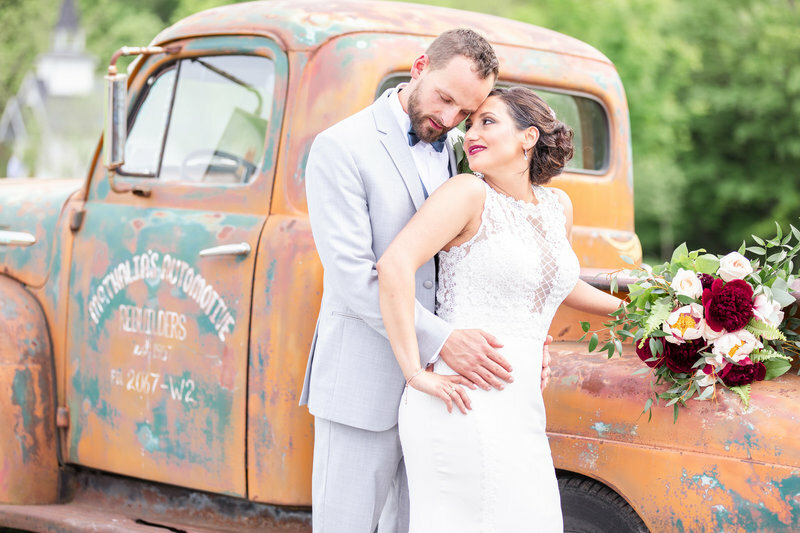 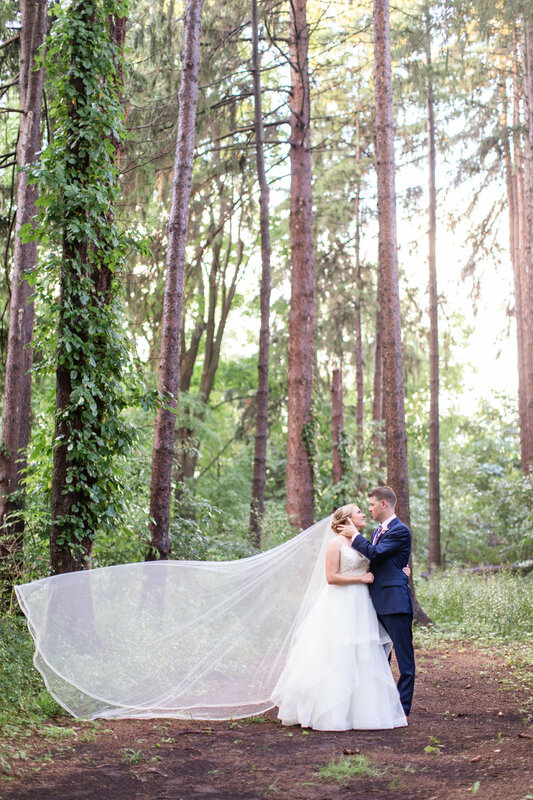 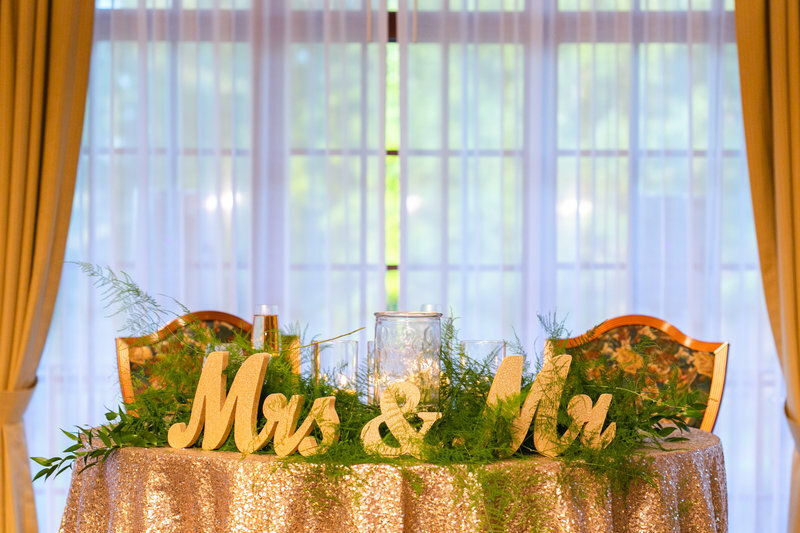 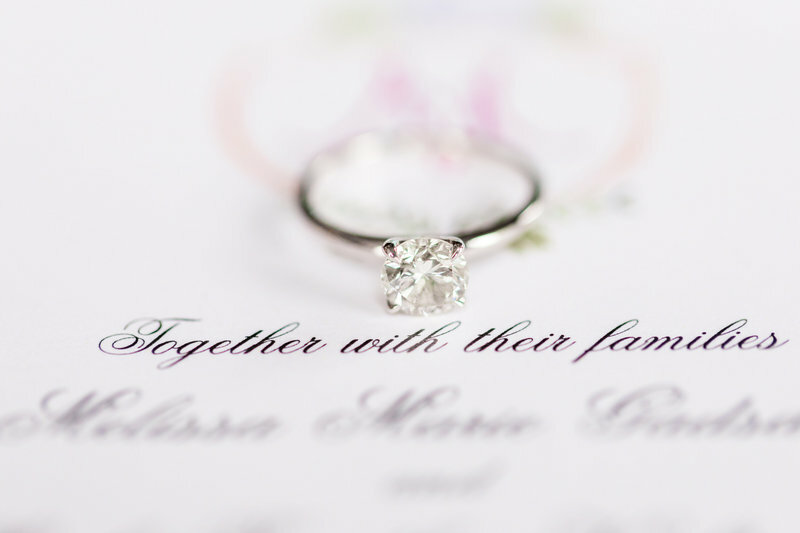 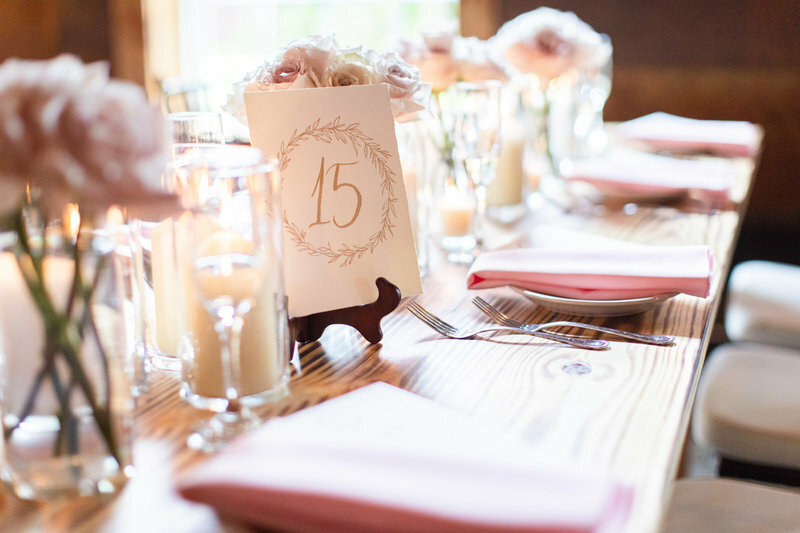 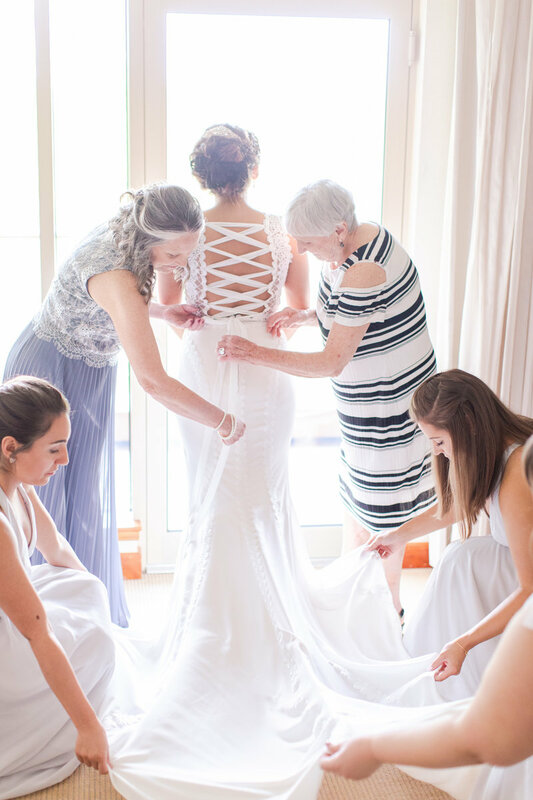 Melissa & Mark's day was graced by delicate vintage details with modern sensibilities. 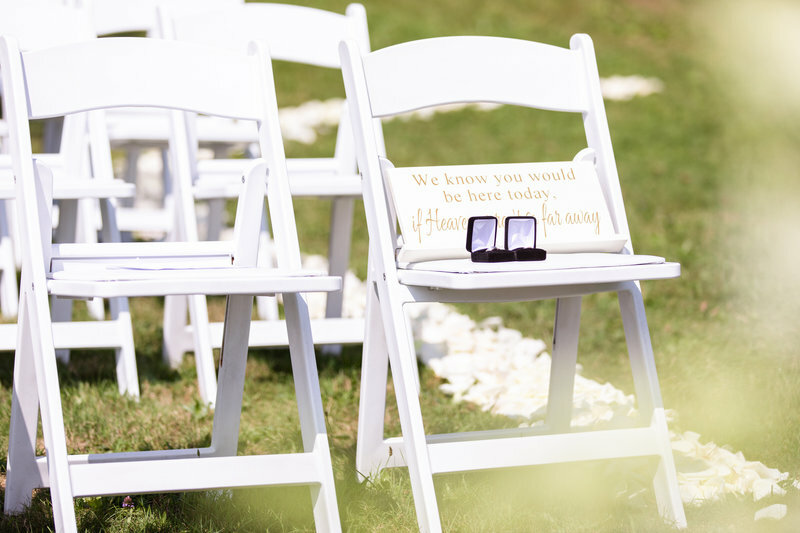 From the start, their care in shaping their ceremony and their guests experience spoke our love language. 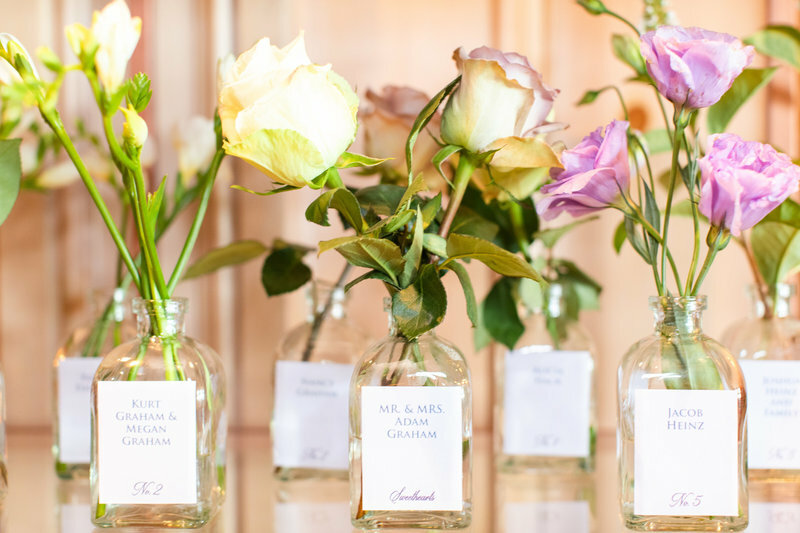 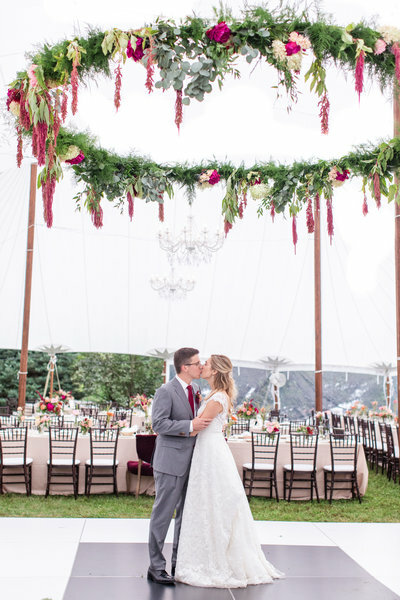 Then came detailing the vision with vintage china and furniture, big blooms and a summery tent, all while embracing the charm of a historic, lakeside tennis club. 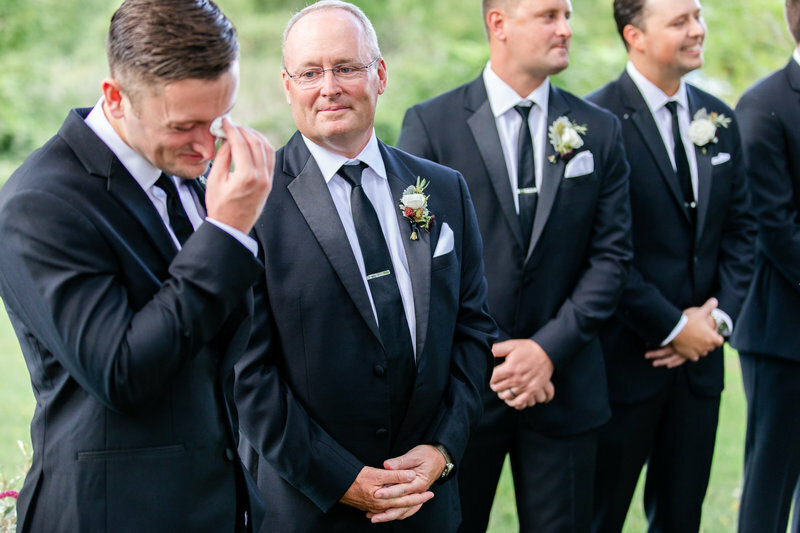 It was a joy to create and capture this sentimental day for them. 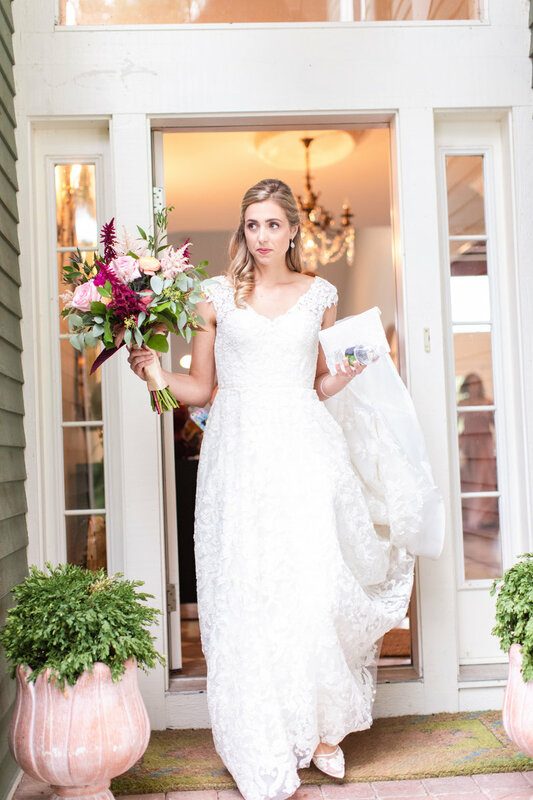 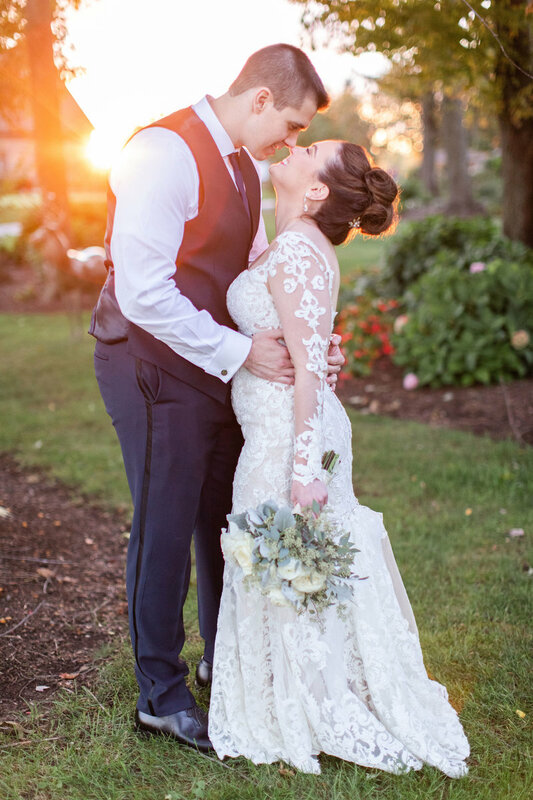 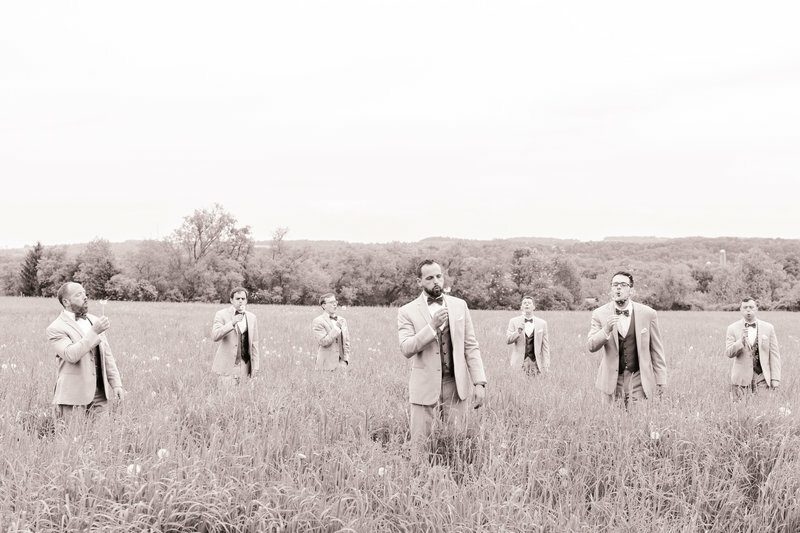 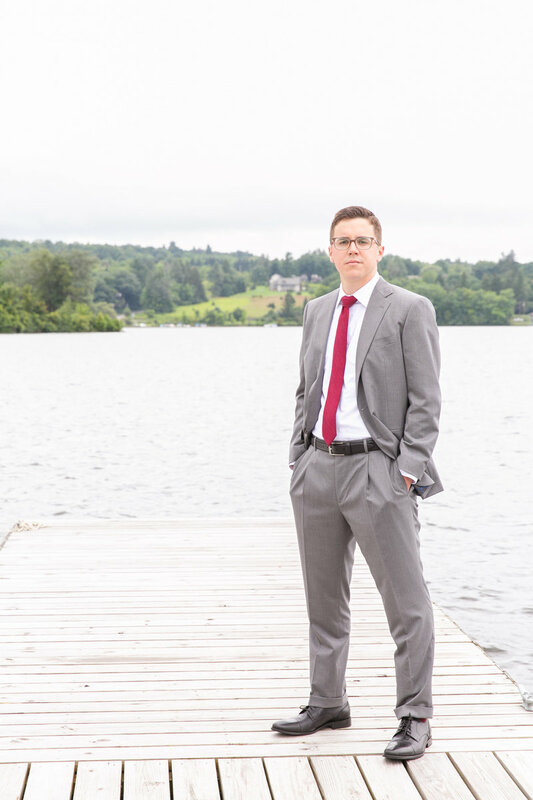 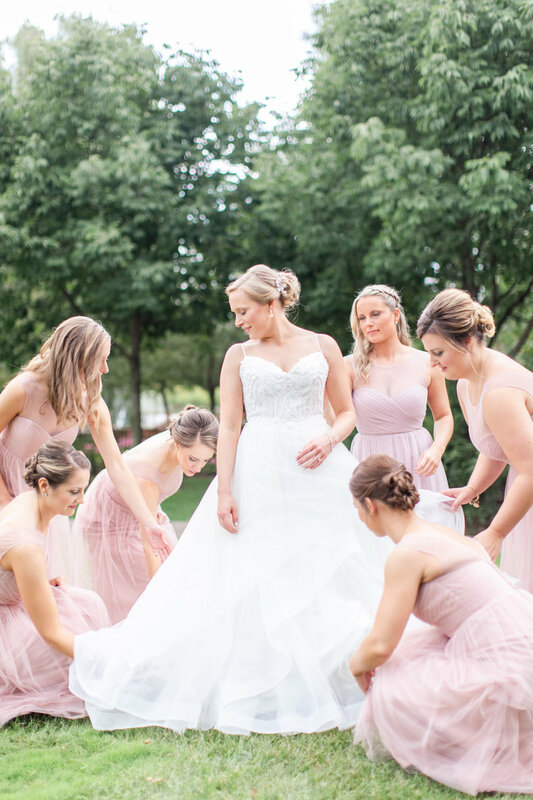 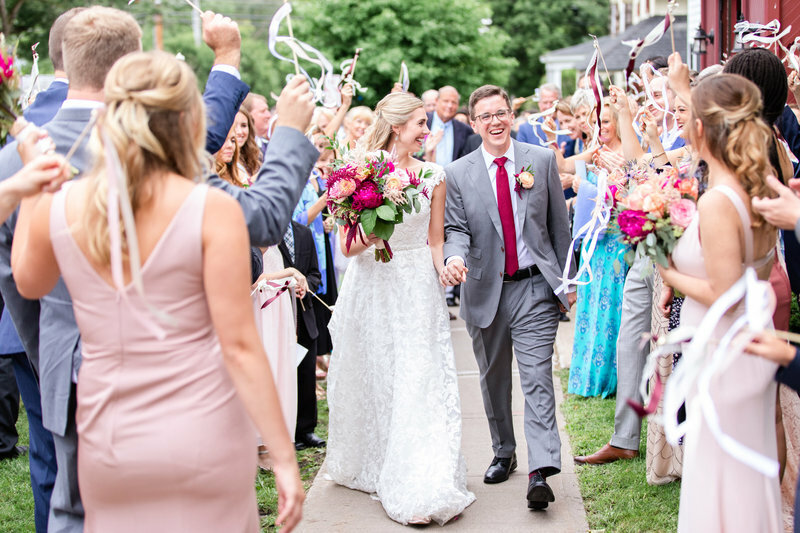 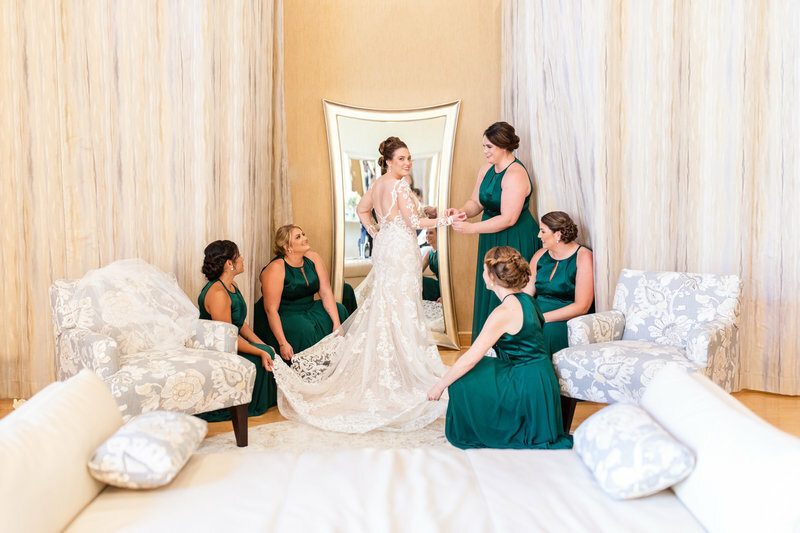 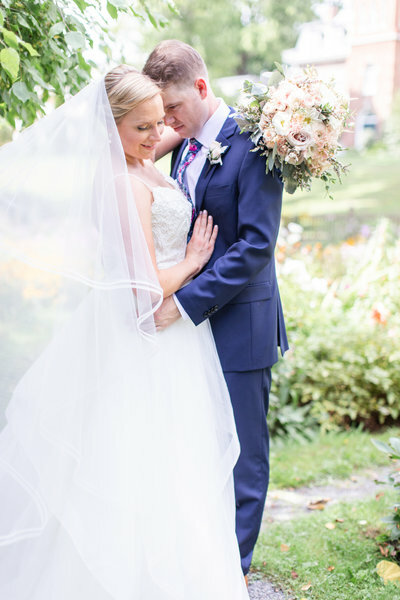 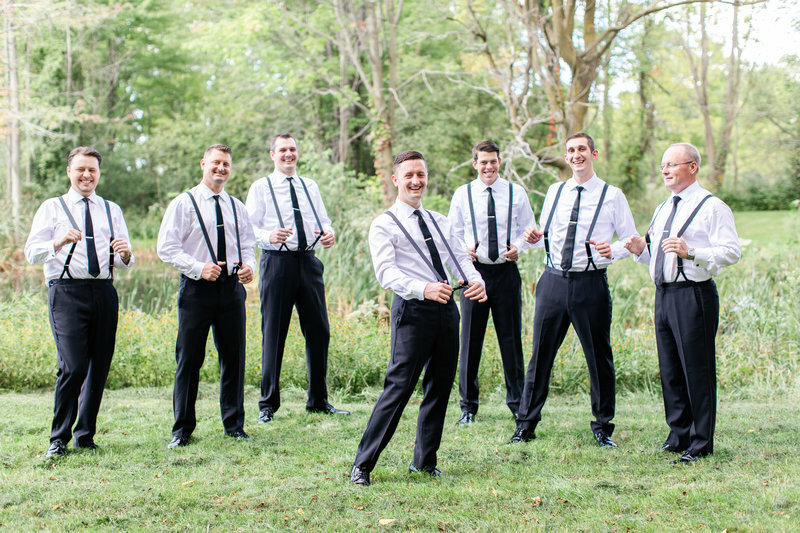 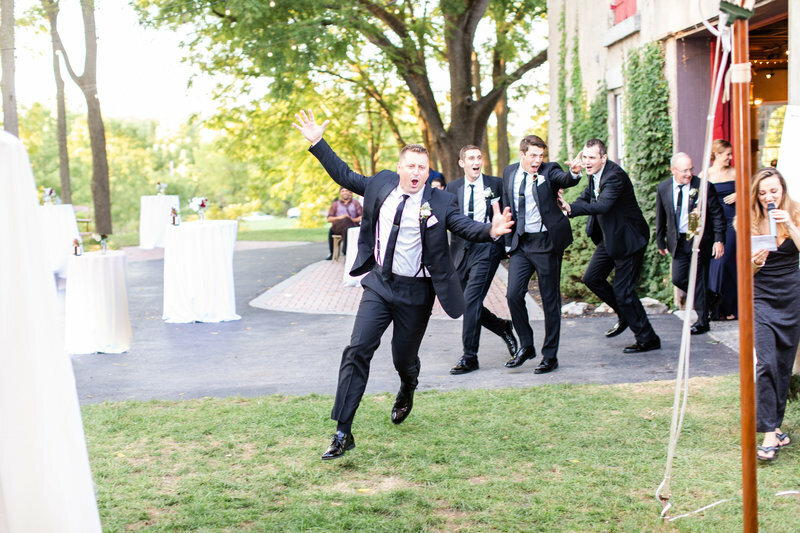 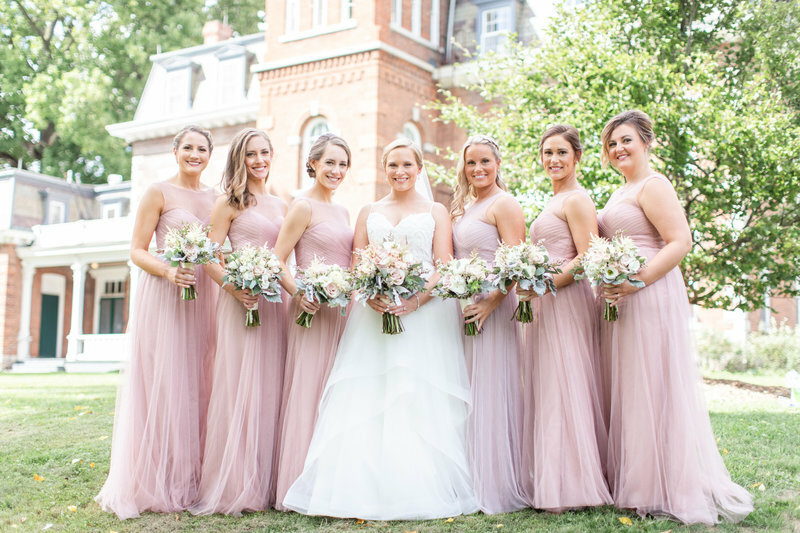 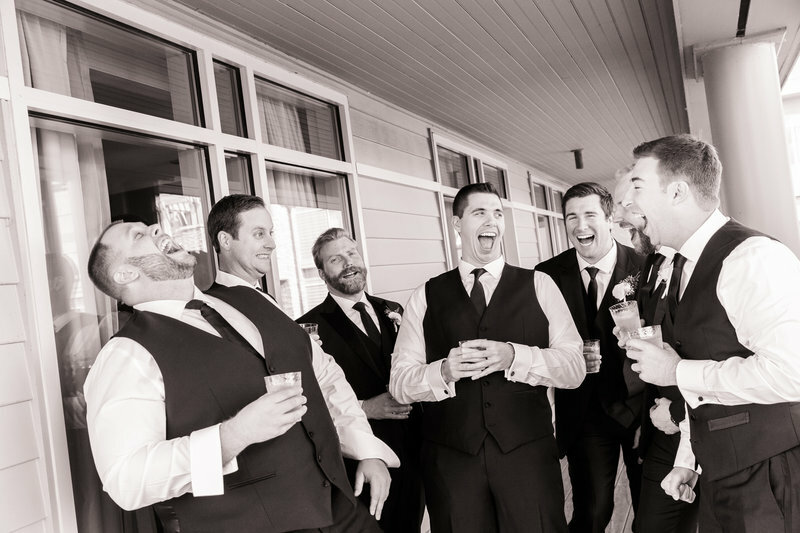 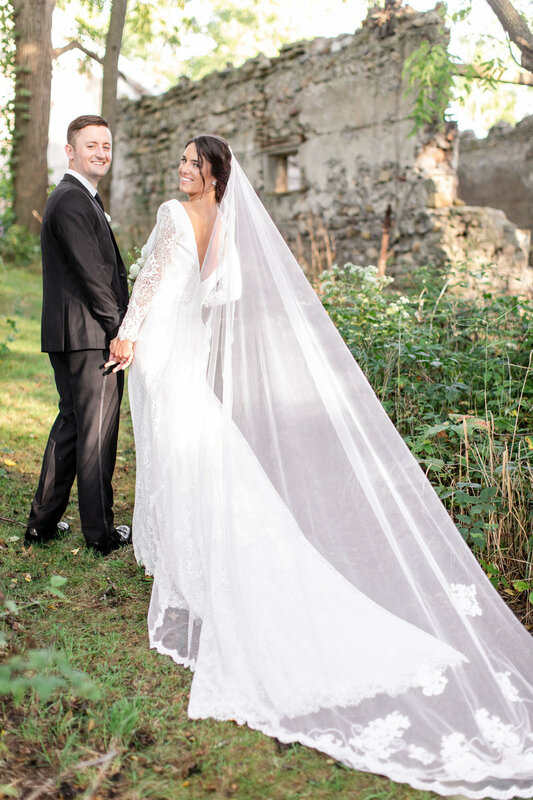 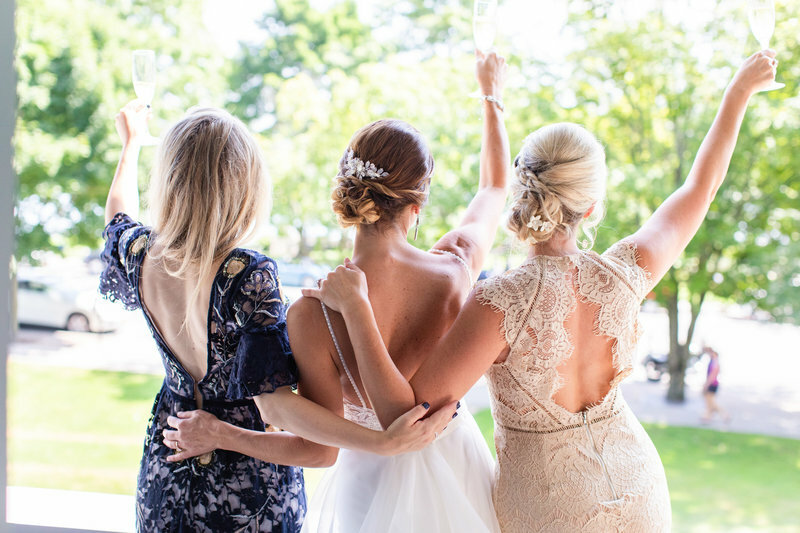 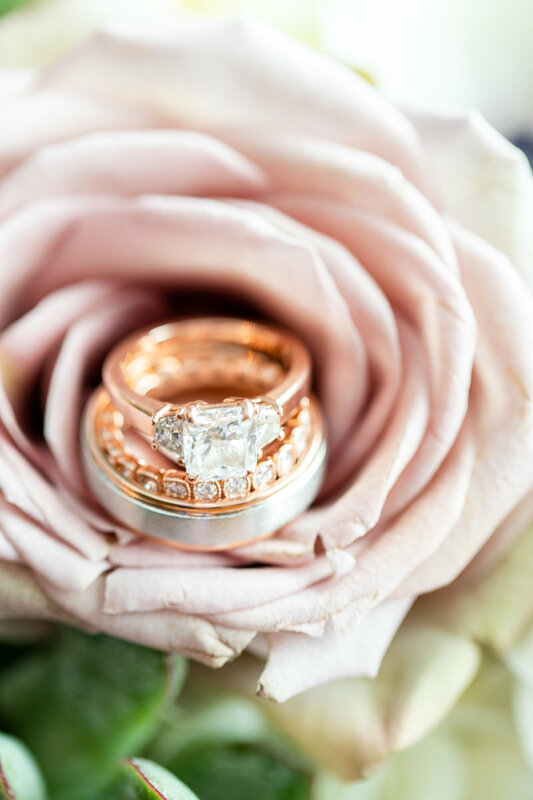 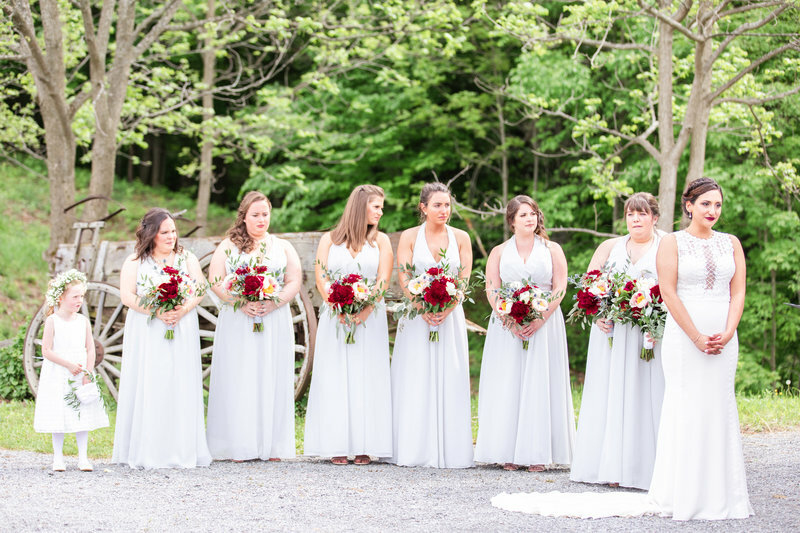 The day wove together their love for Cazenovia, their families and celebrating a way unique to them, from a wedding parade down main street, to bluegrass and crab cakes, to the most epic bouquet toss to date, this wedding is one for the books! 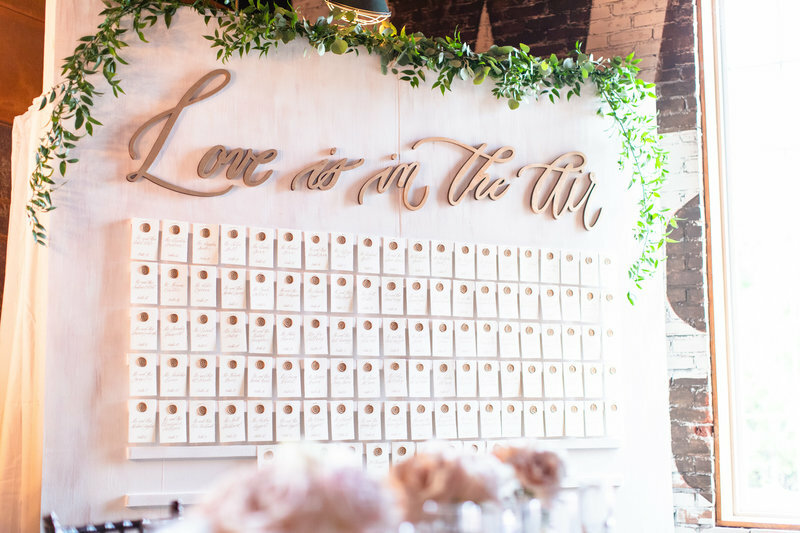 Stationary & Illustrations: Lightheart Paper Co. 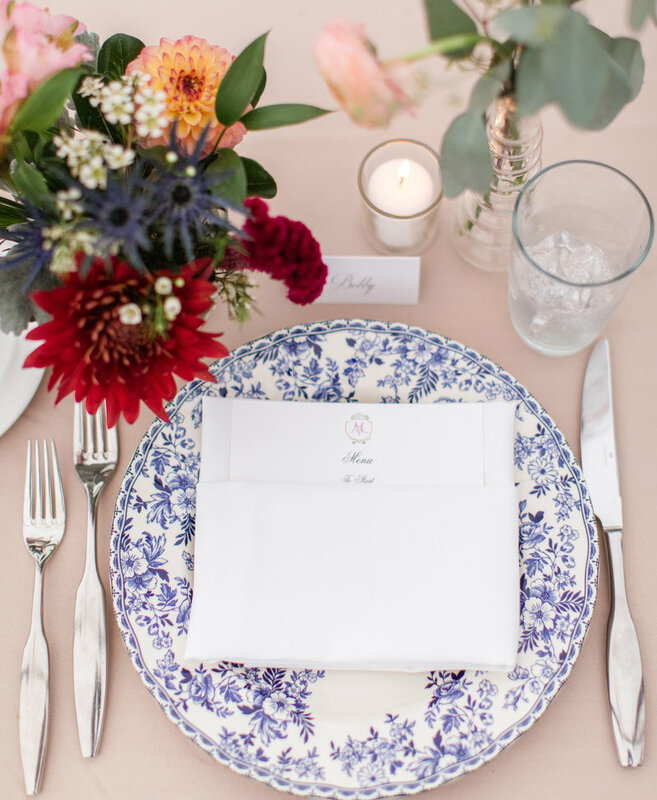 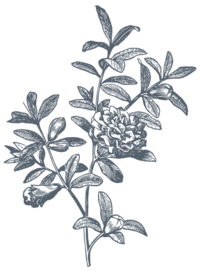 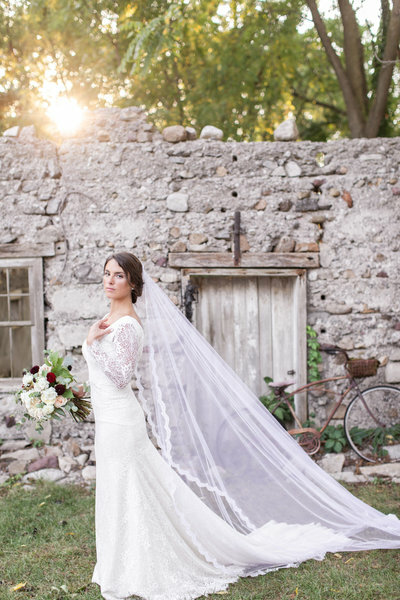 Specialty Rentals: Pretty Little Vintage Co. 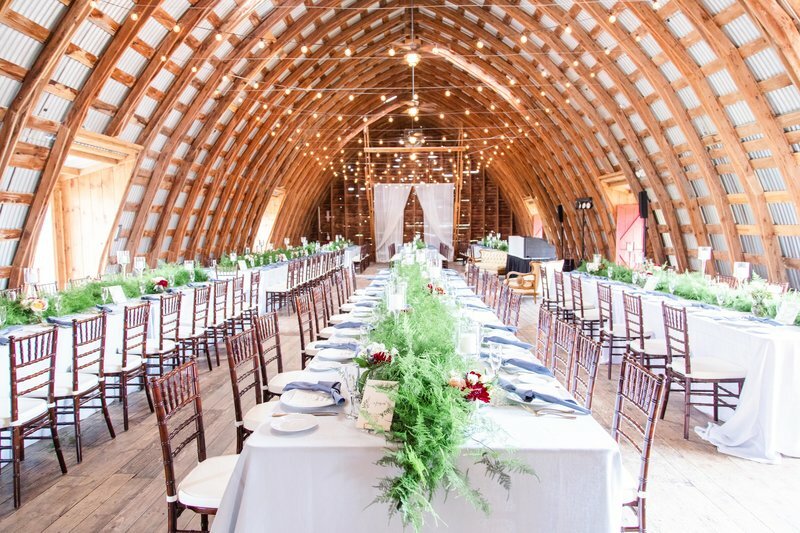 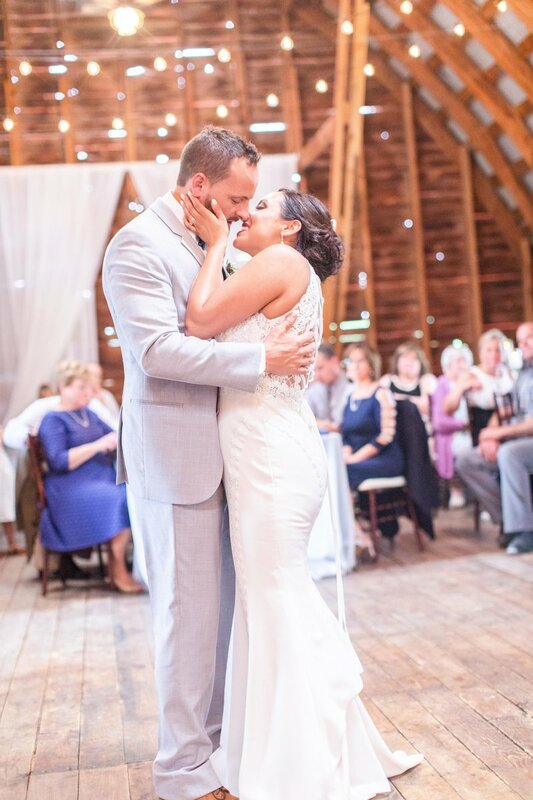 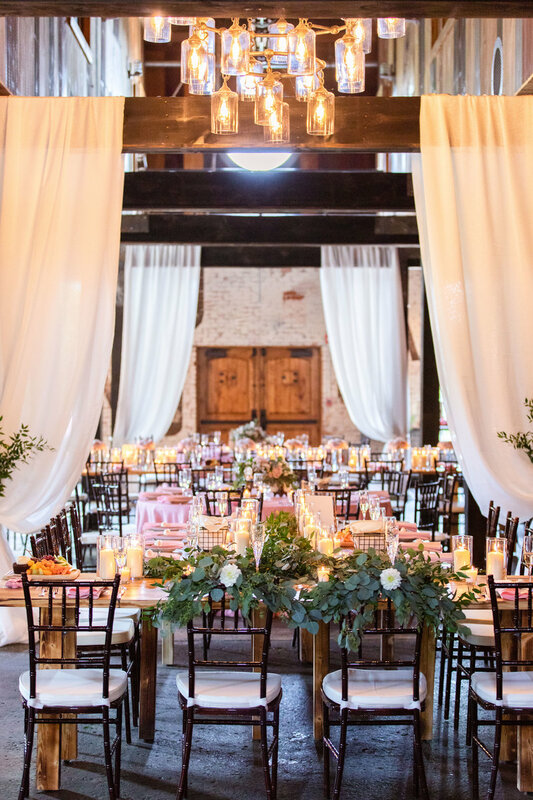 This wedding took "barn" wedding to a whole new level! 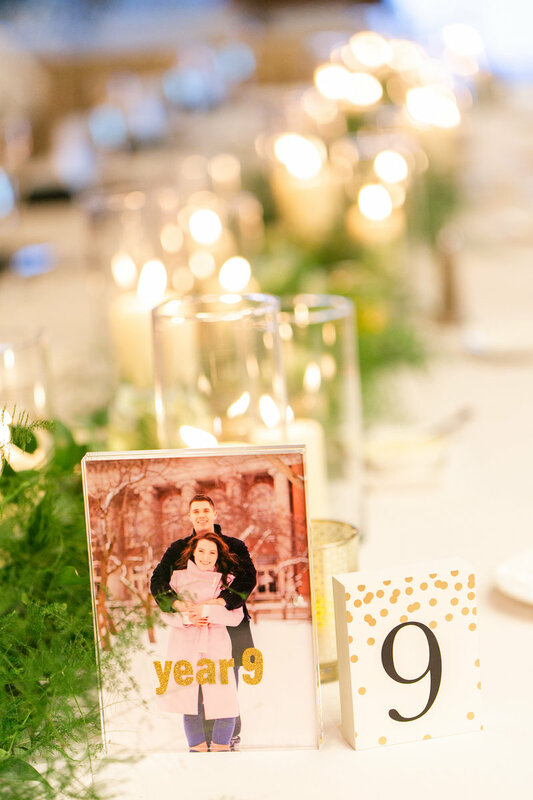 Inspired by their love story and their favorite things, we designed a day suited for their dramatic flare, fun-loving personalities and crazy-fun crew! 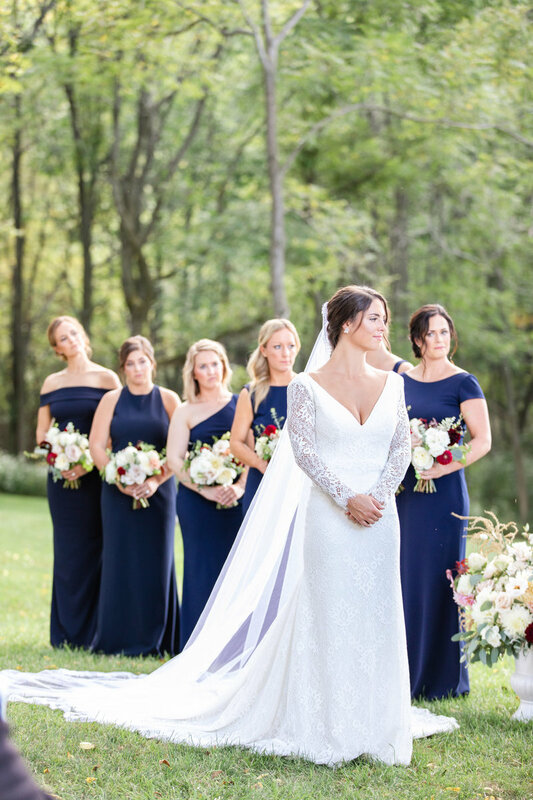 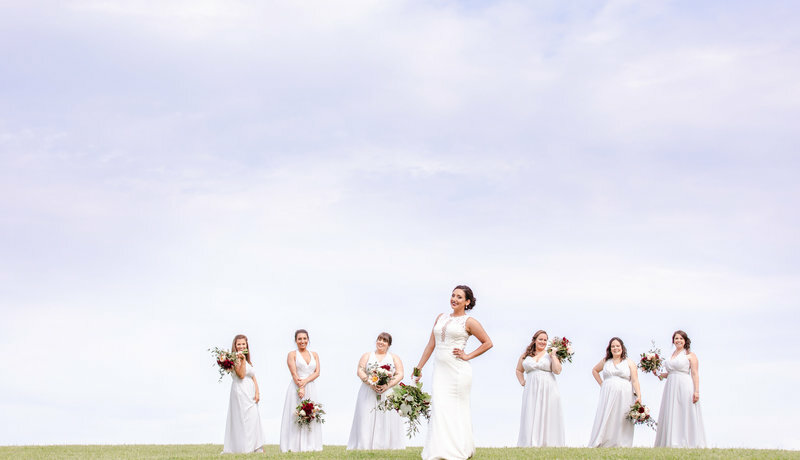 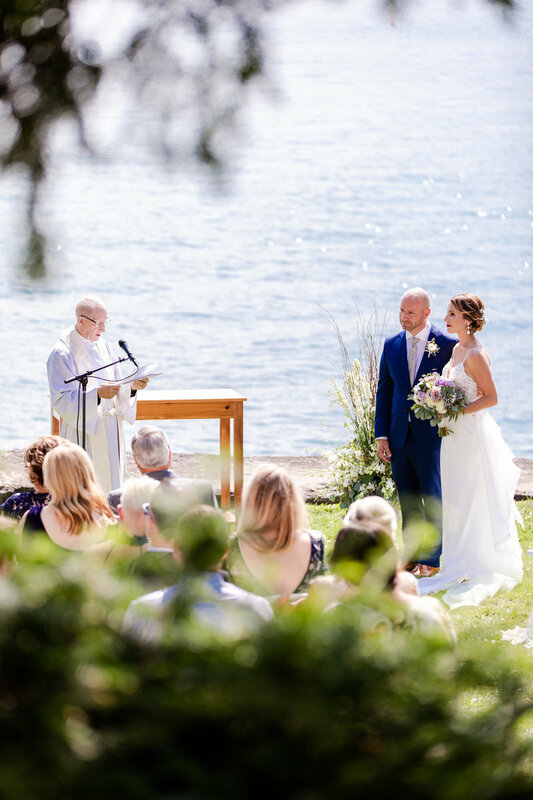 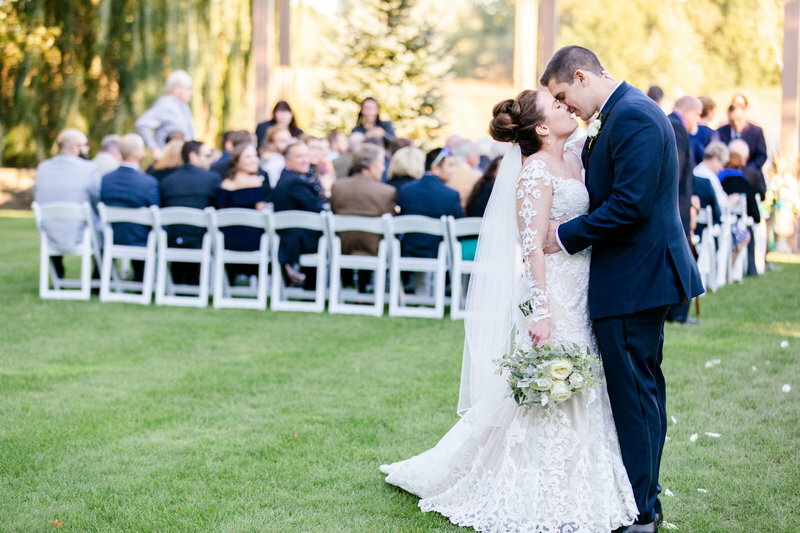 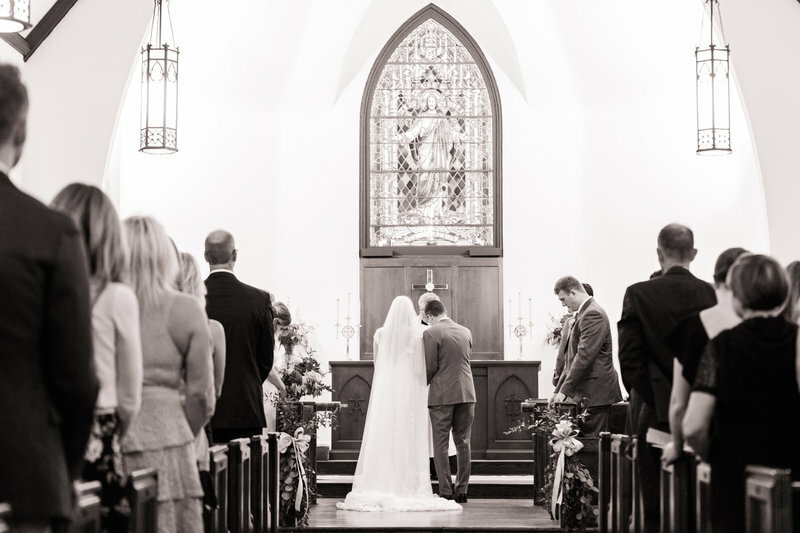 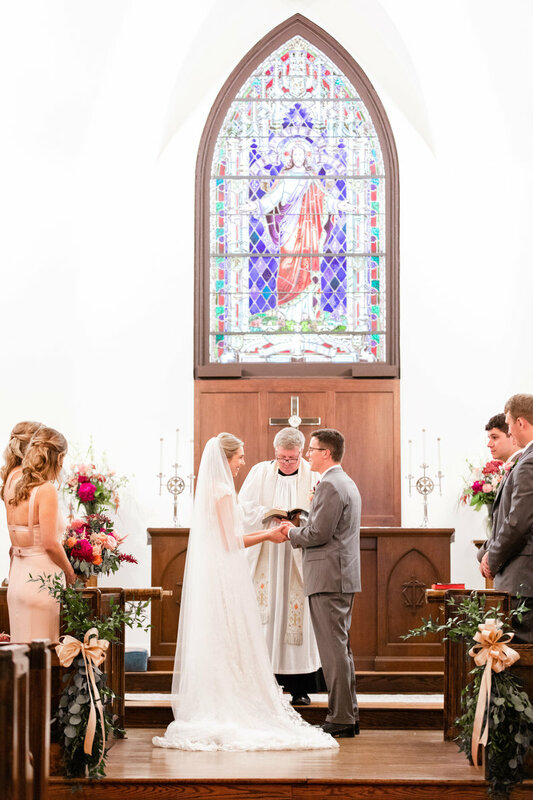 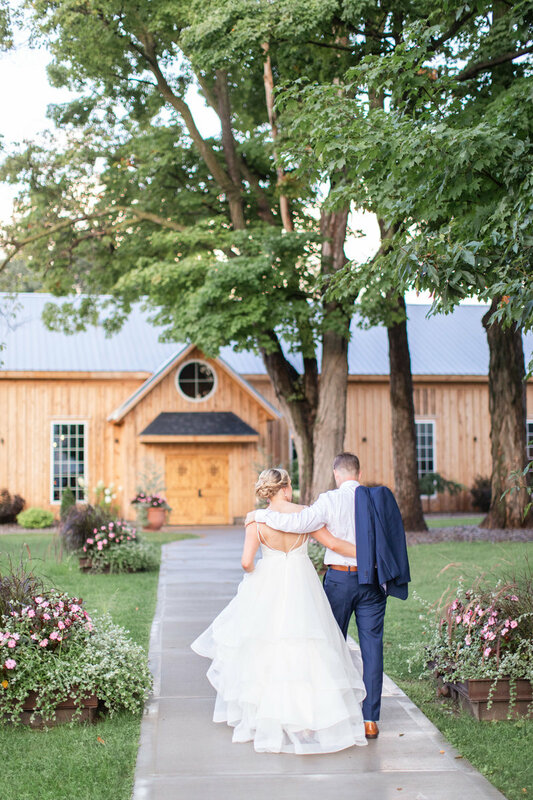 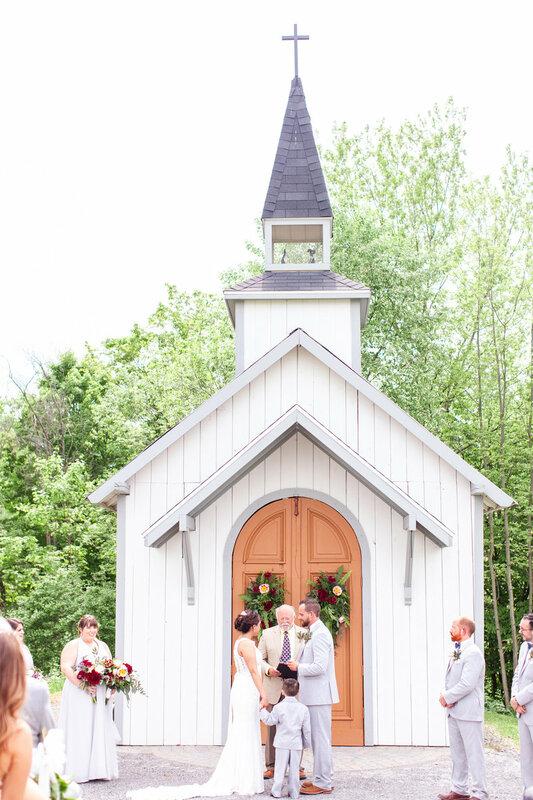 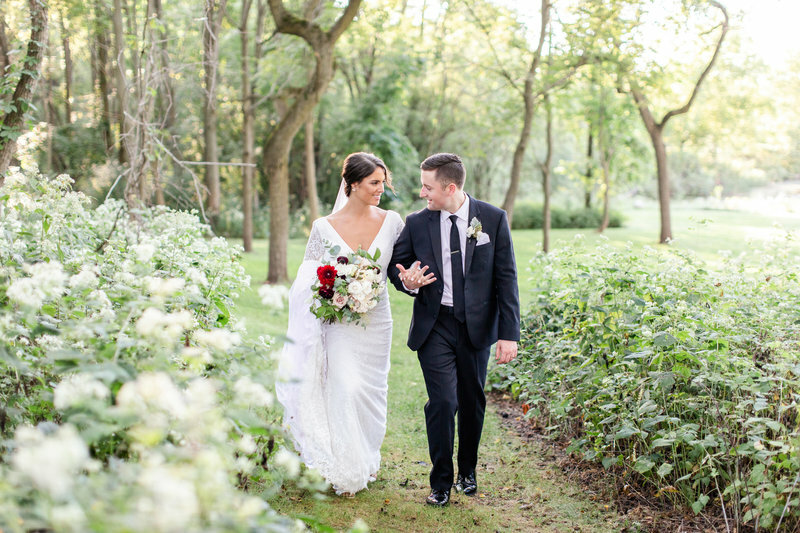 The barn is incredible, but even more are the romantic sprawling lawns to the sweetest chapel where these two tied the knot with their son by their side. 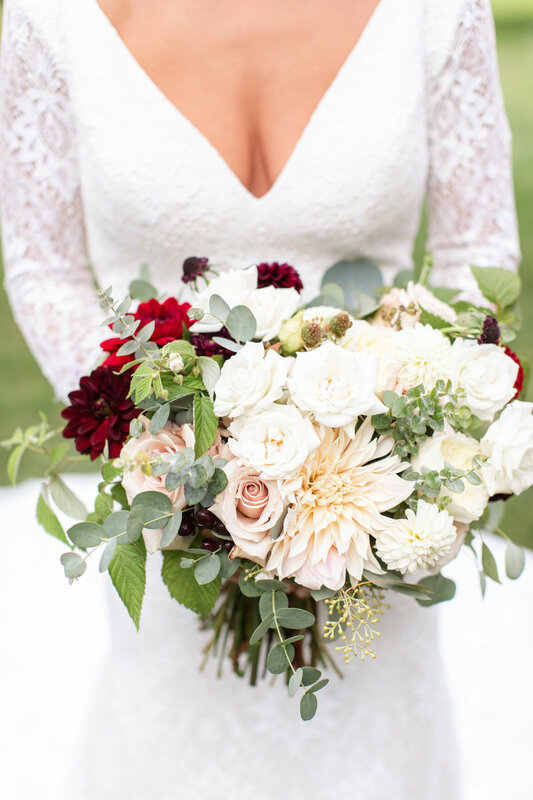 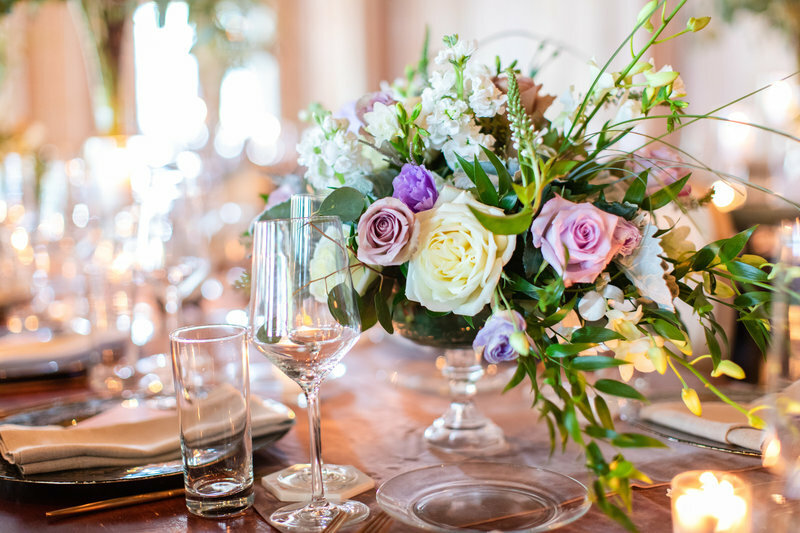 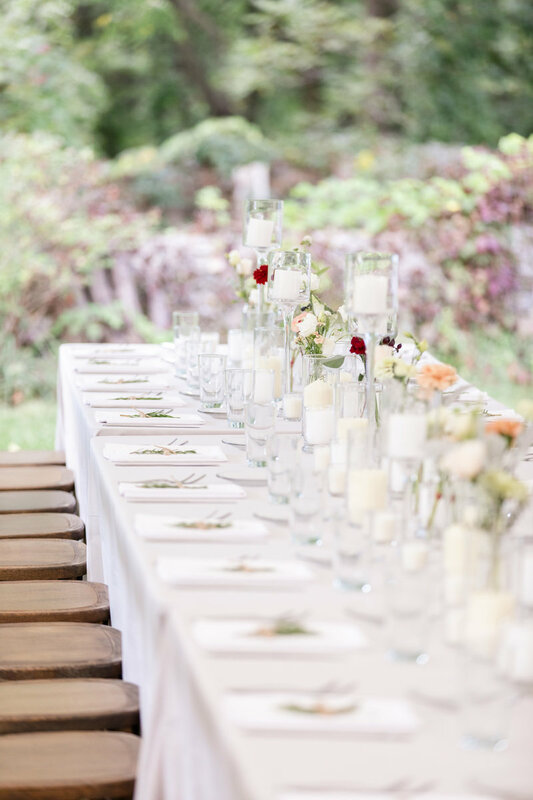 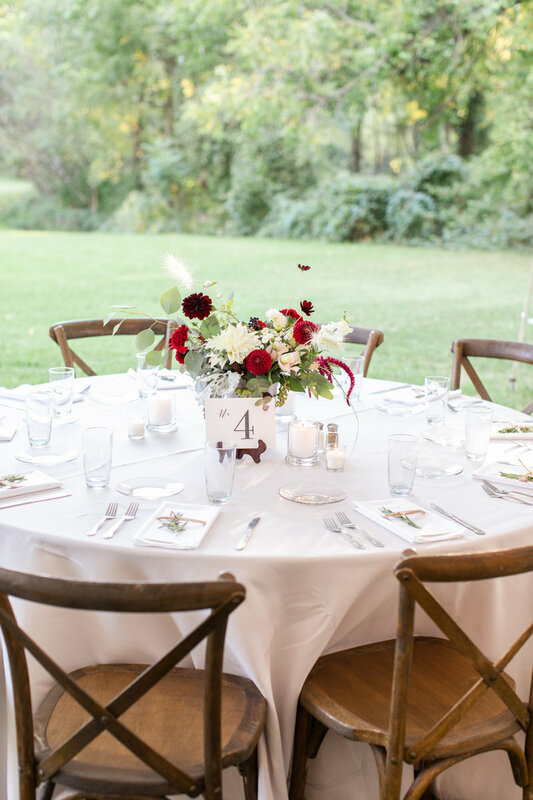 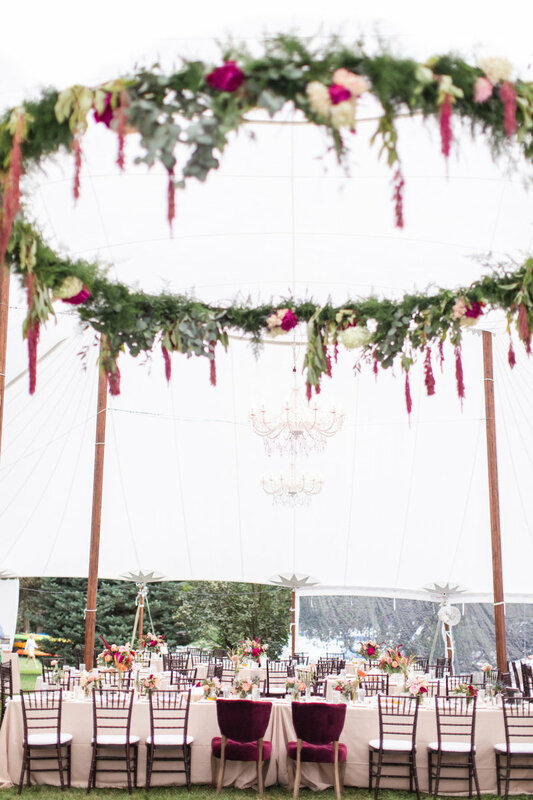 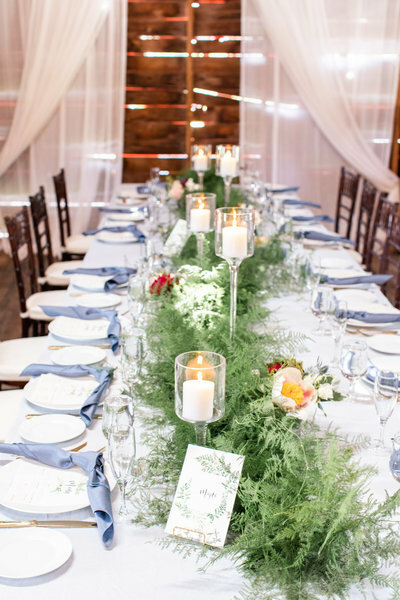 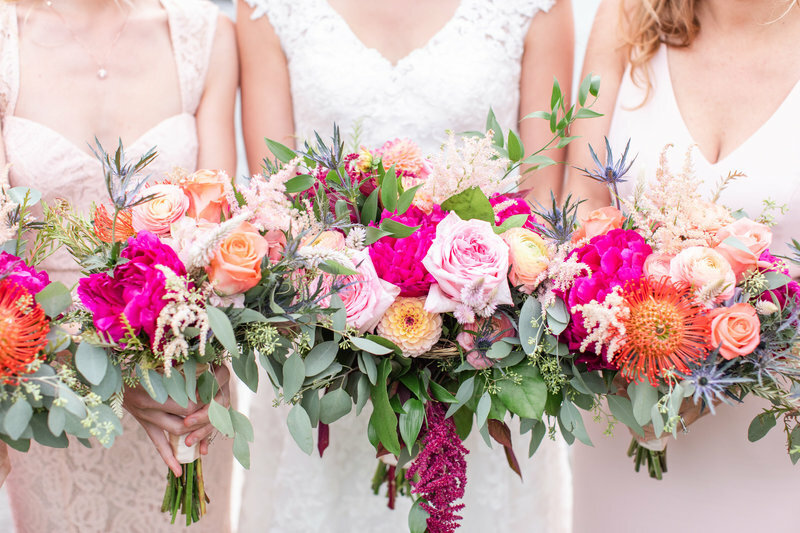 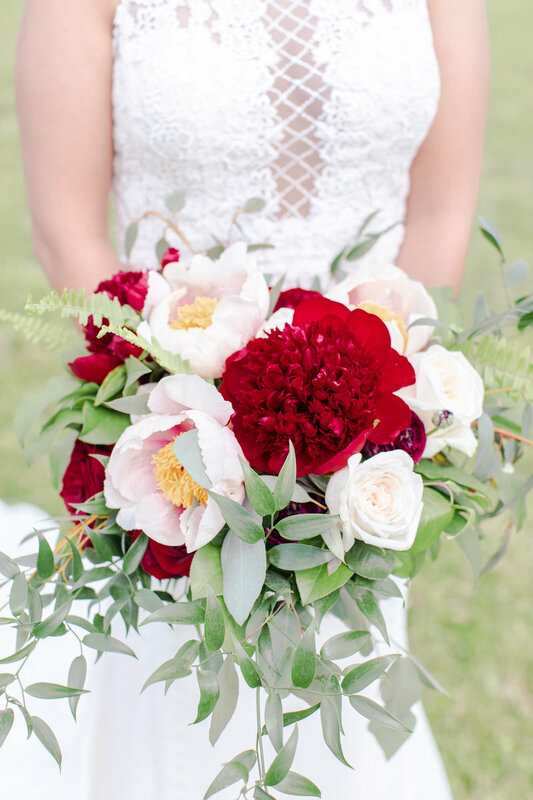 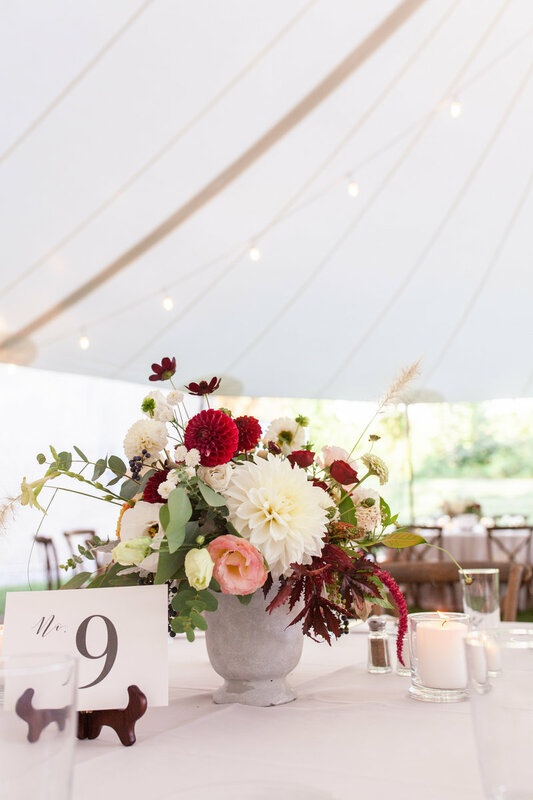 Add lush ferns and peonies for days, a color palette of dusty blues and deep reds, and a whole truck-full of personal details, you get a meaningful, lasting celebration! 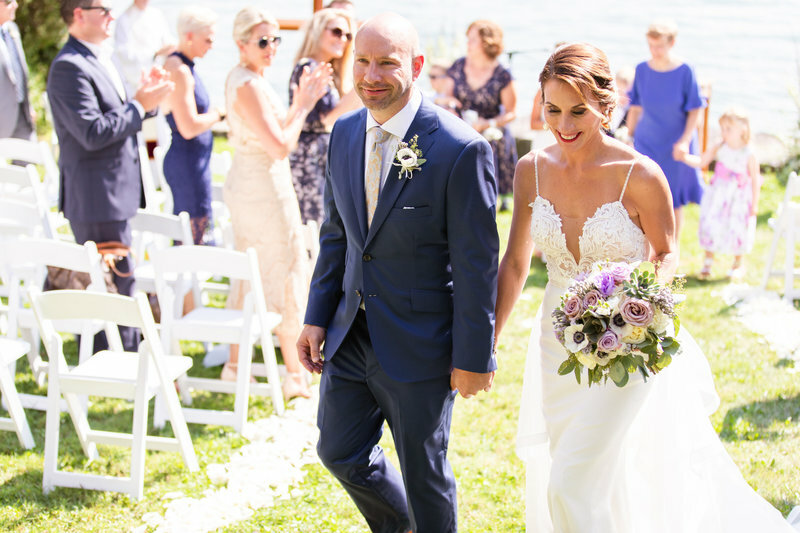 It was an honor to guide, design and capture this couple's dream day with a stellar line up of pros. 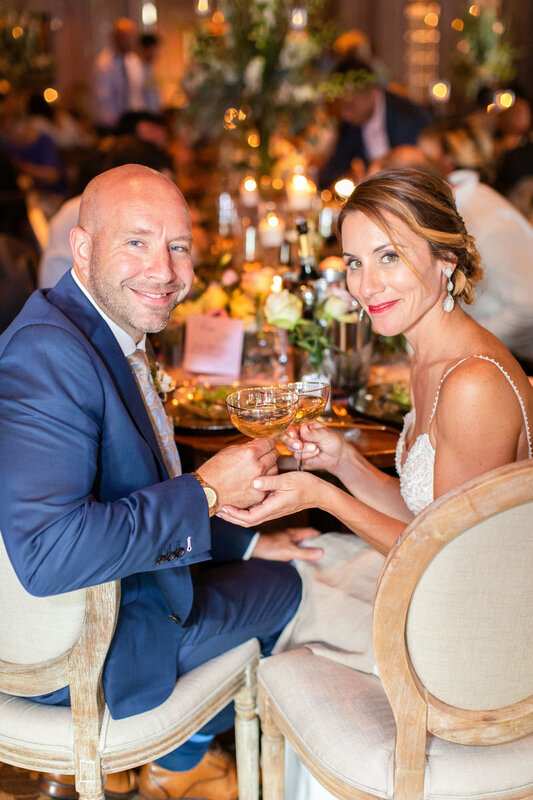 Cheers to this darling family, with vintage cocktails in hand, for one very hot, sassy and sweet wedding day! 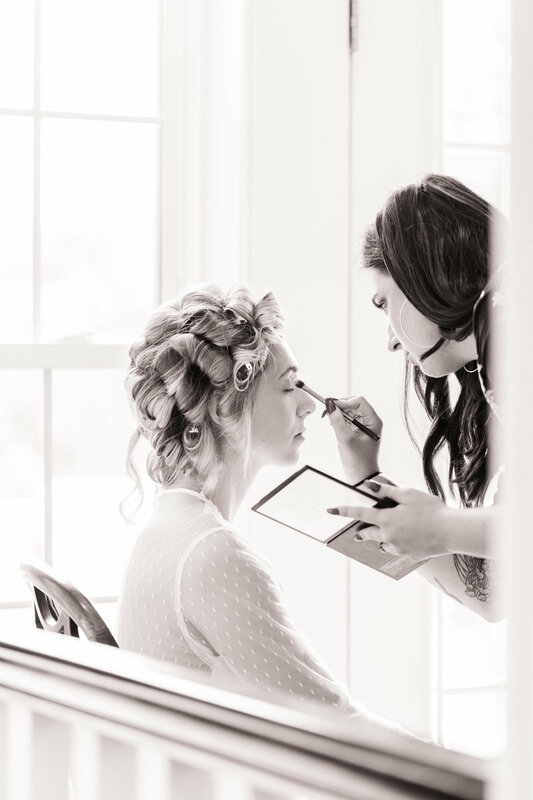 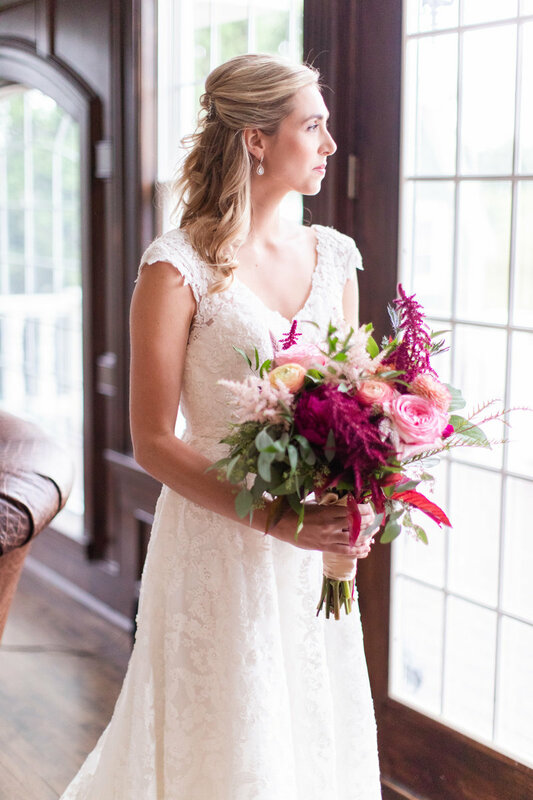 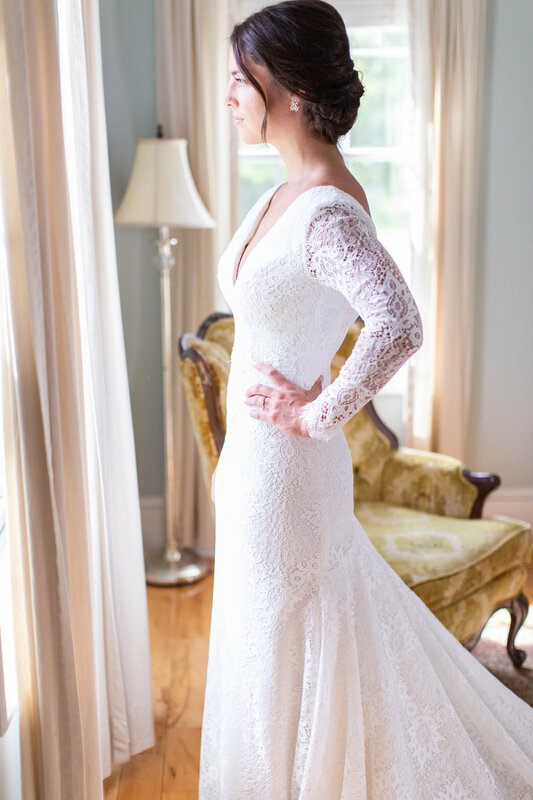 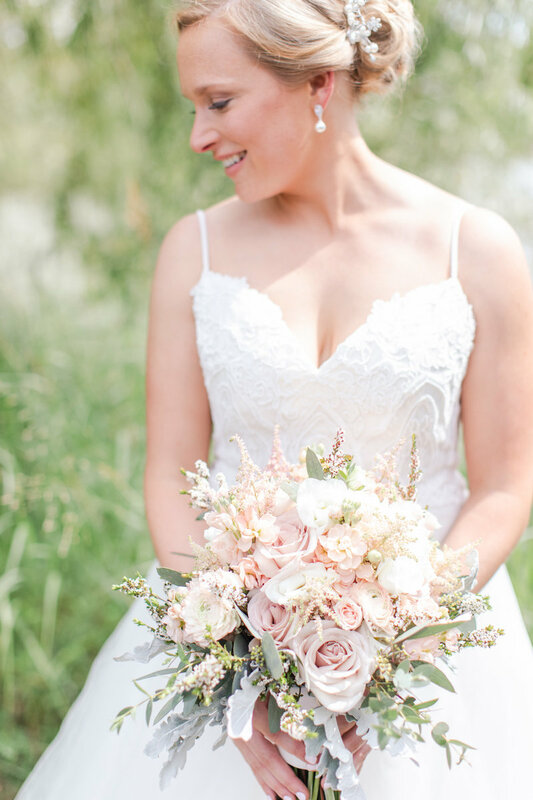 Hair & Makeup: Crazy Beautiful Co.
Amanda and Adam are two of the most genuine, big-hearted people we've ever met, and their wedding day was a complete reflection of that character. 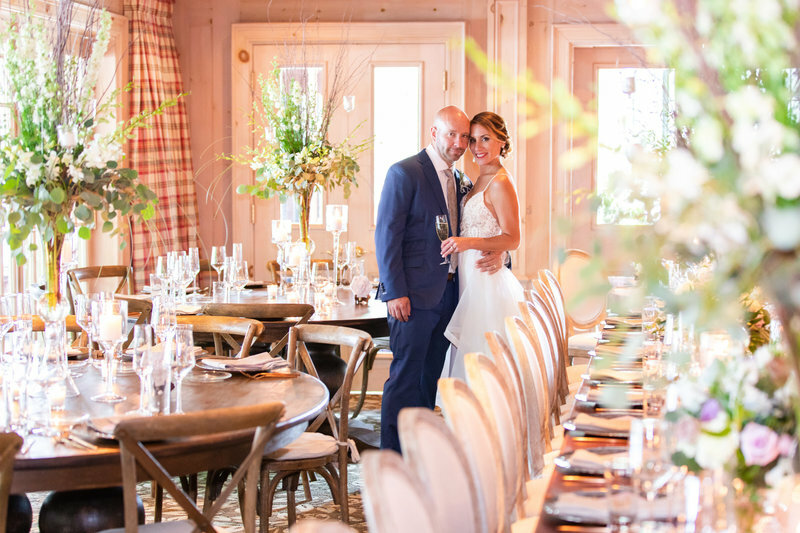 Classy and intimate, modern and fashionable, detailed to the crossed-T and dotted-I, this was a dreamy day for all involved. 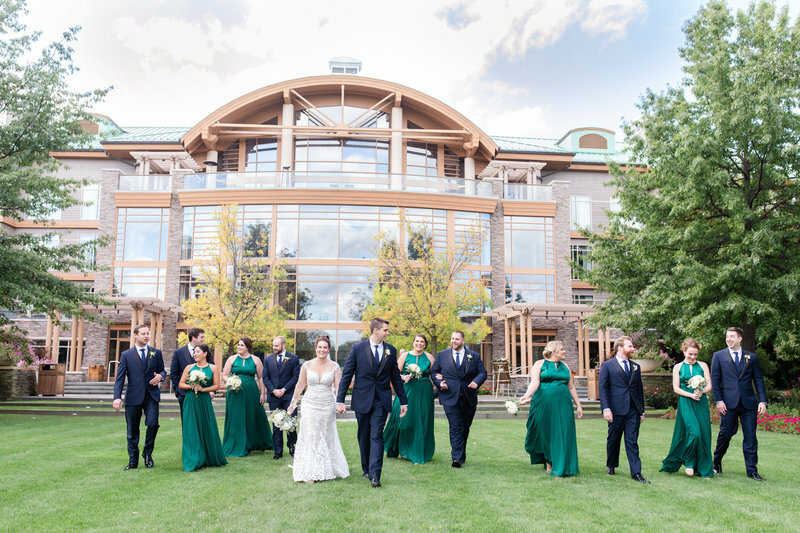 Transforming the Sherwood was a challenge we quickly took on with their expert staff and a fantastic team of Skaneateles pros. 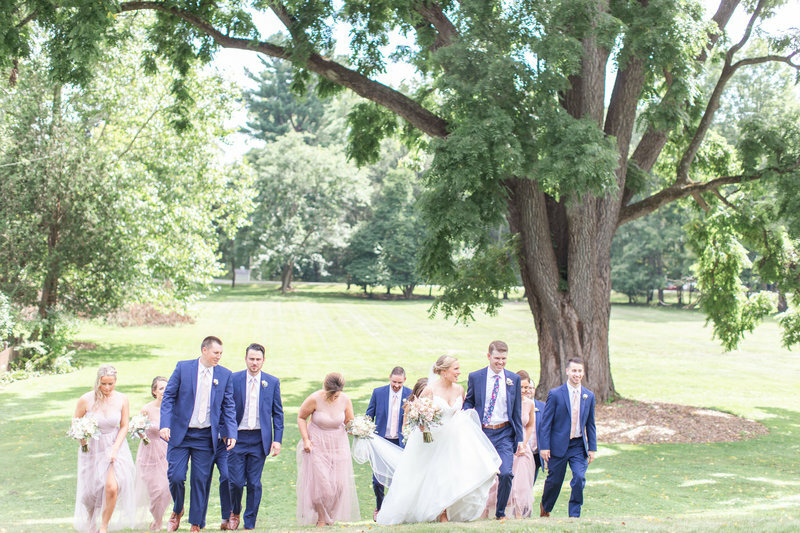 Getting to join them on their day's journey with a camera was a joy. 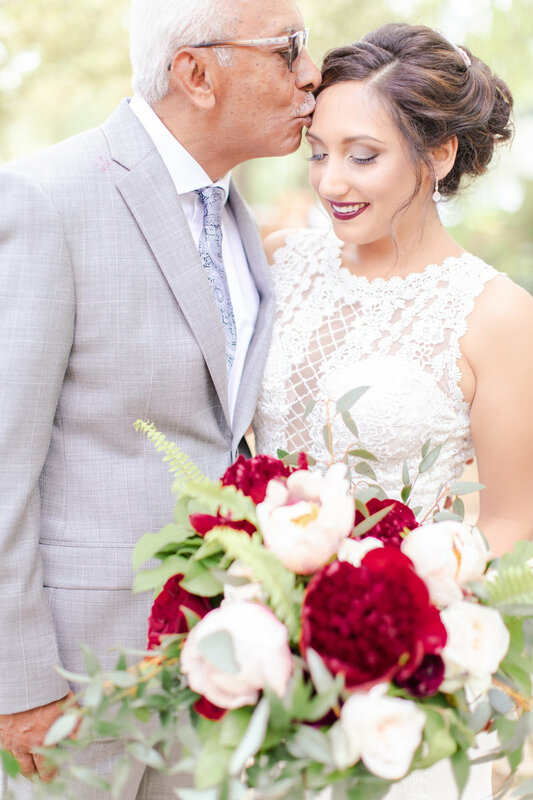 But more than what they day looked like, (details over which we are still drooling), the spotlight of the day was on the love these two shared for each other, their newly joined family and the generous spirit in which they loved on each of their guests. 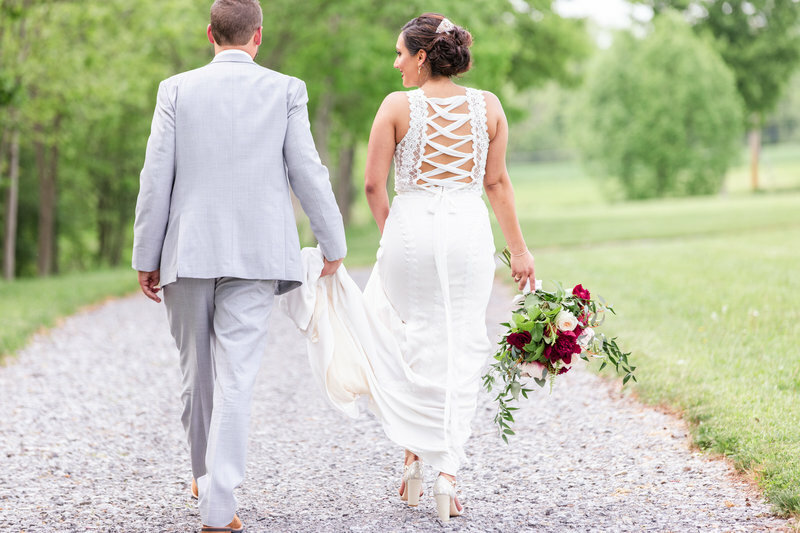 This unbelievably beautiful day was perfectly made for Caiti & Tim. 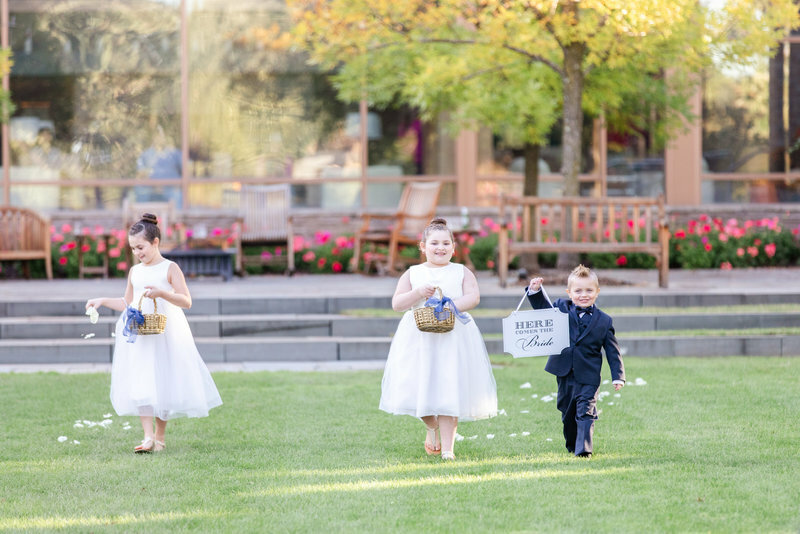 One of the most temperate weather days we can remember, we naturally looked for every excuse to enjoy them and their families together with the camera! 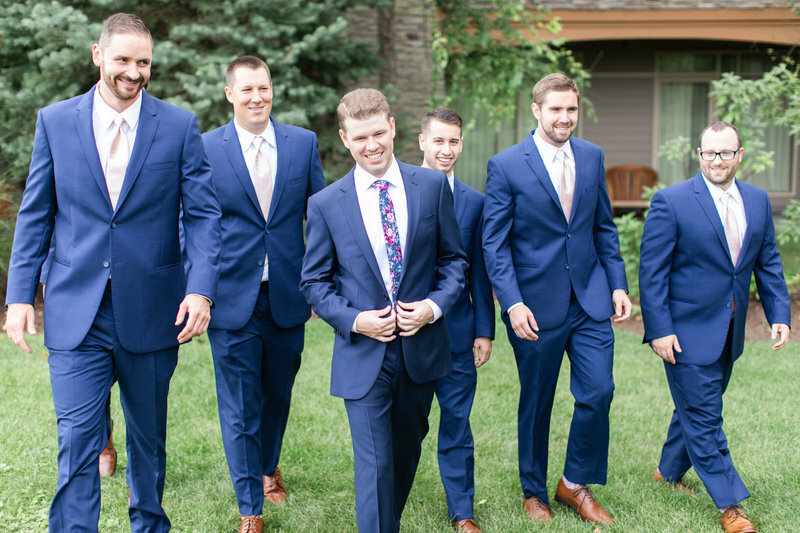 Their carefree energy makes everyone feel welcome around them, and they did all they could to make everyone feel appreciated for their presence. 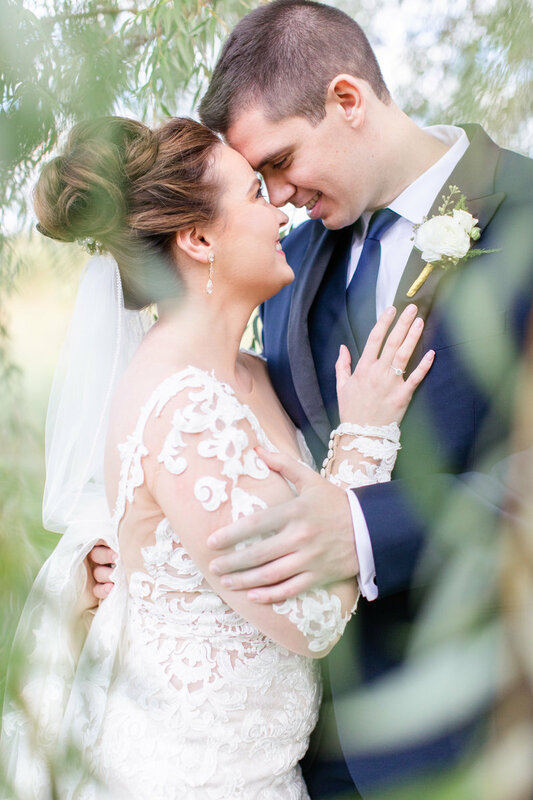 Coordinating their thoughtful details, styling their portrait session and overseeing their every detail was also a delight. 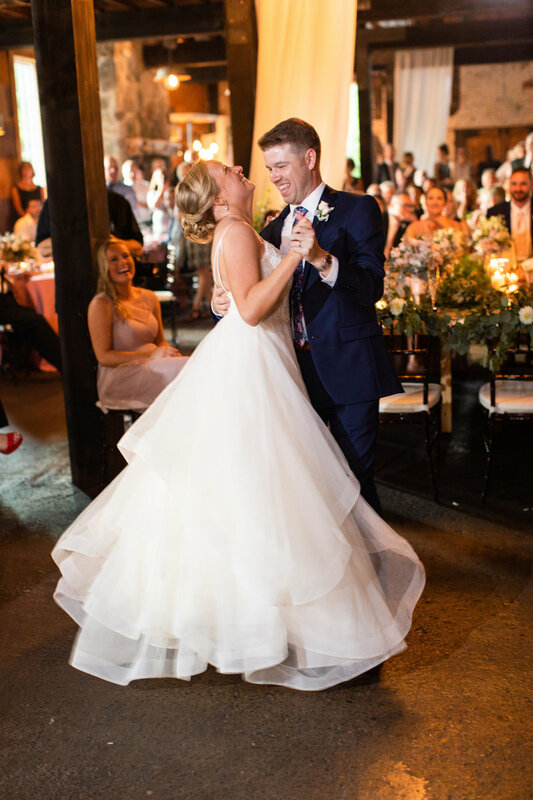 Every moment of their day was photogenic, so much laughter, beauty and love, just when you thought the day couldn't hold any more, there was more to be had.